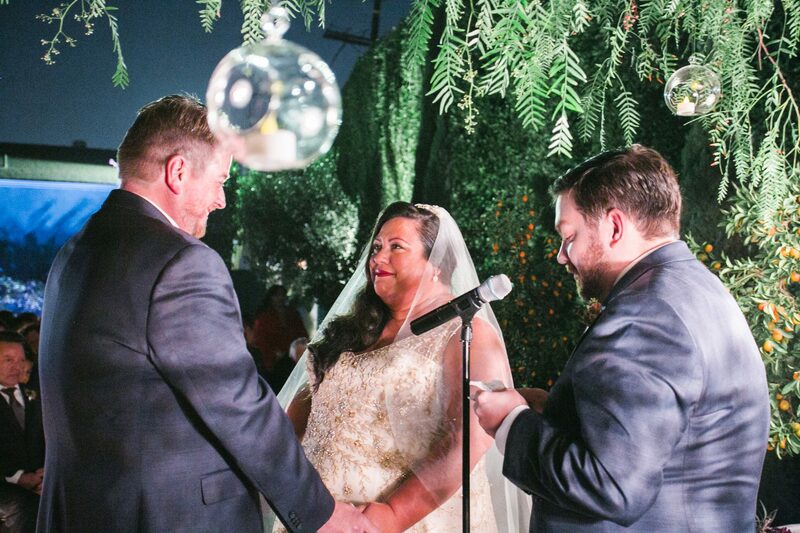 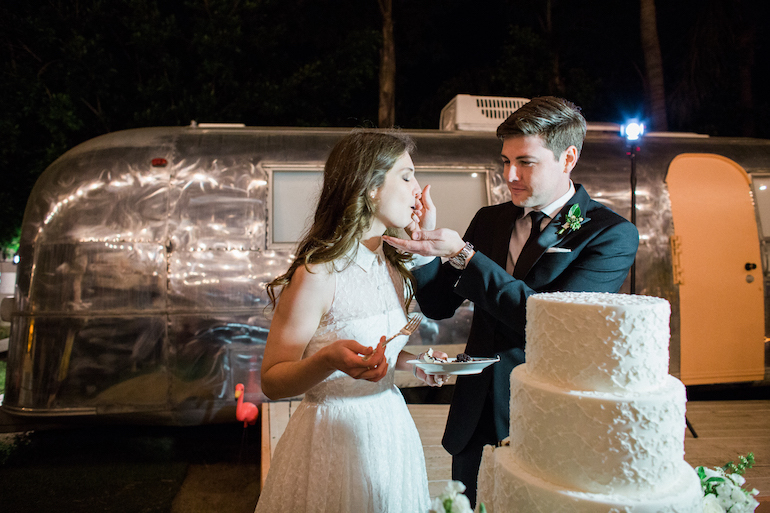 An Enchanting Evening of Love: Emily and Brett Married! 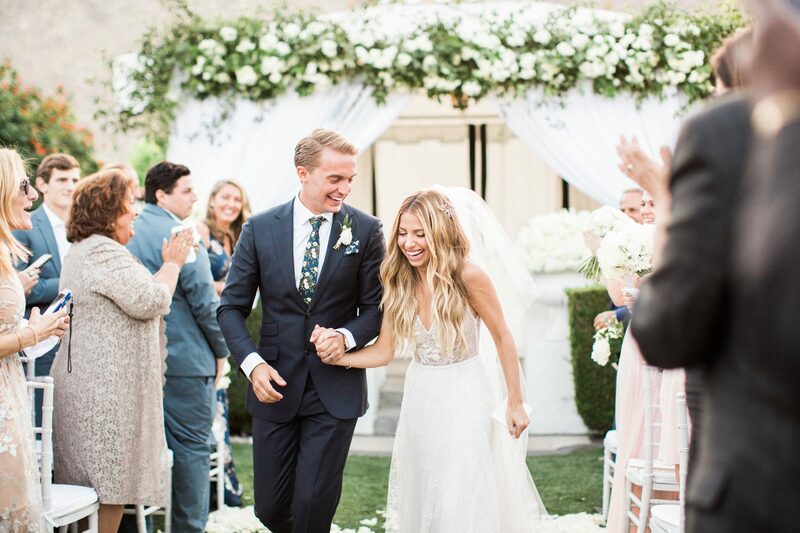 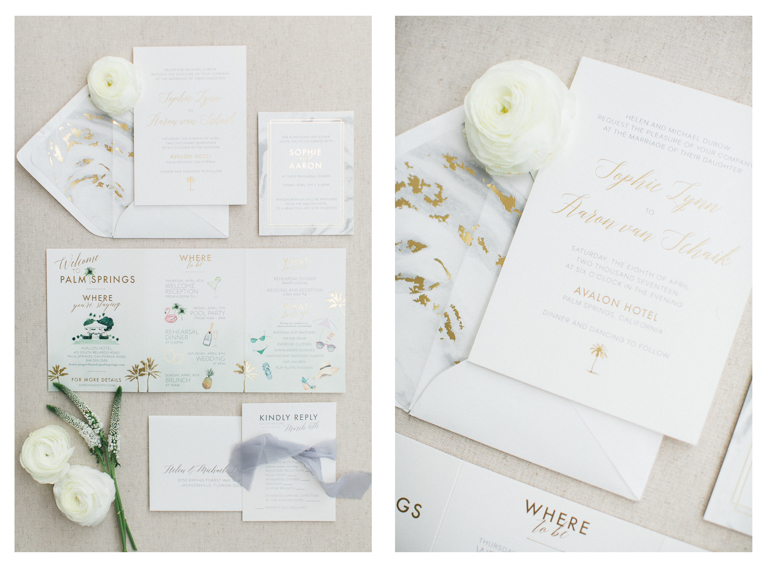 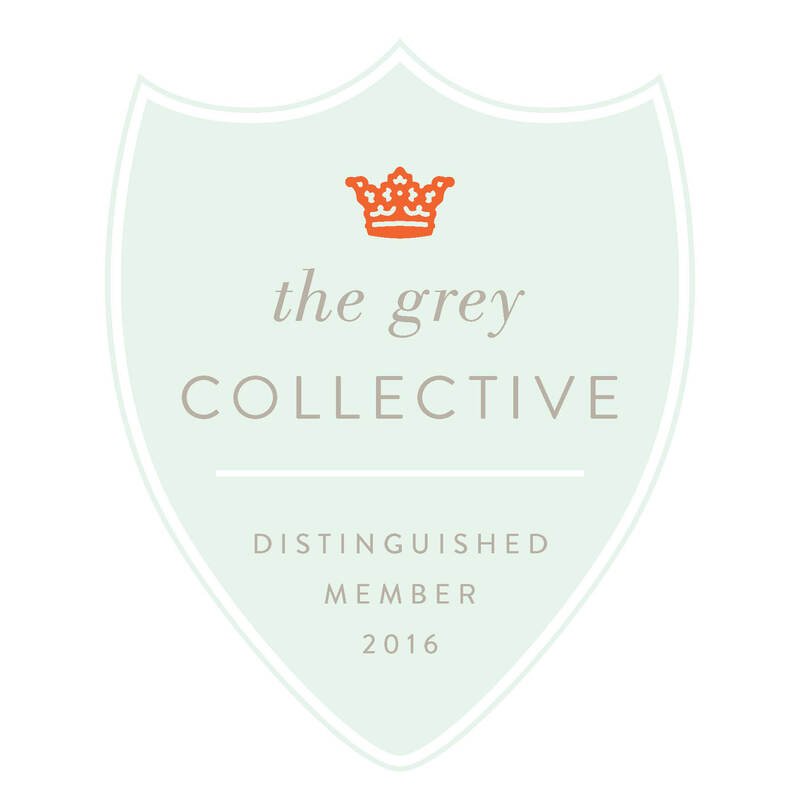 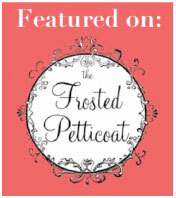 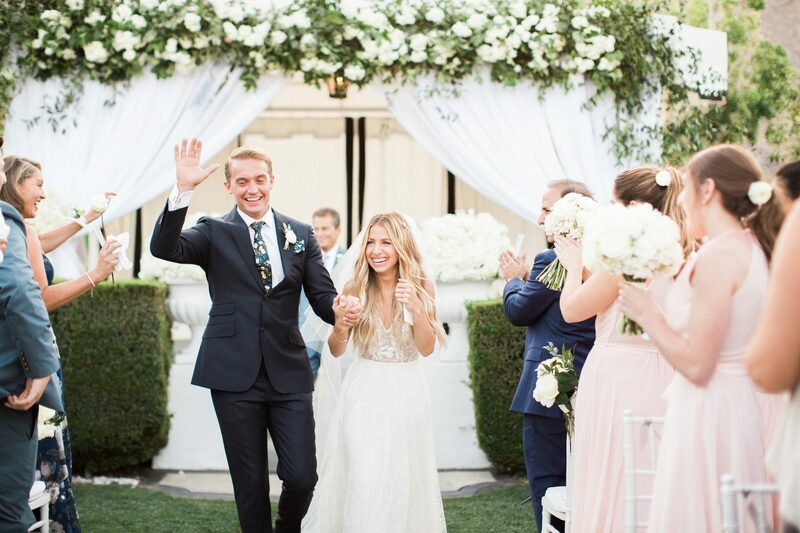 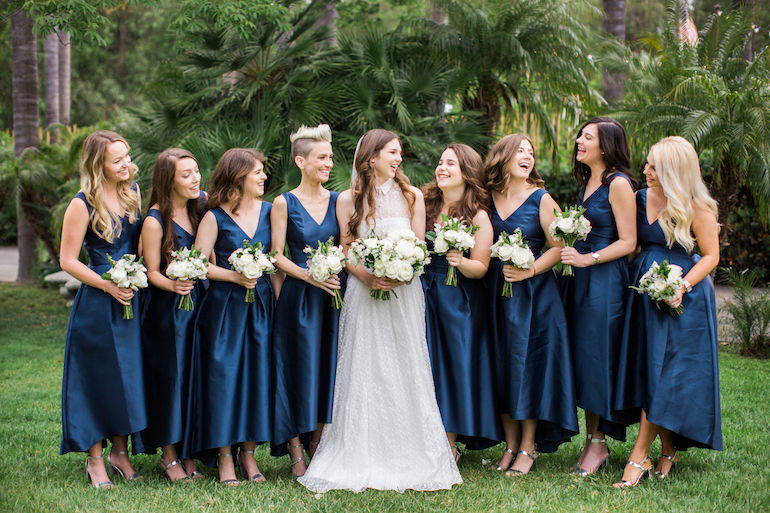 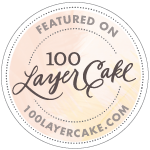 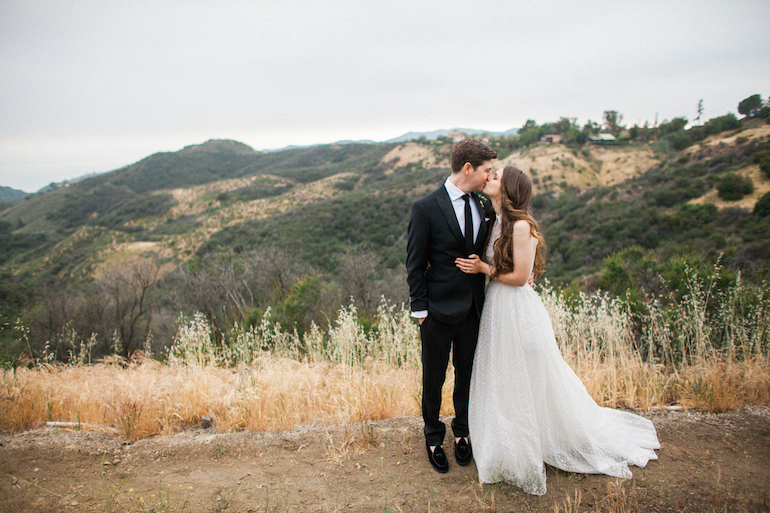 Today, we are so excited to share with you another beautiful celebration of love! 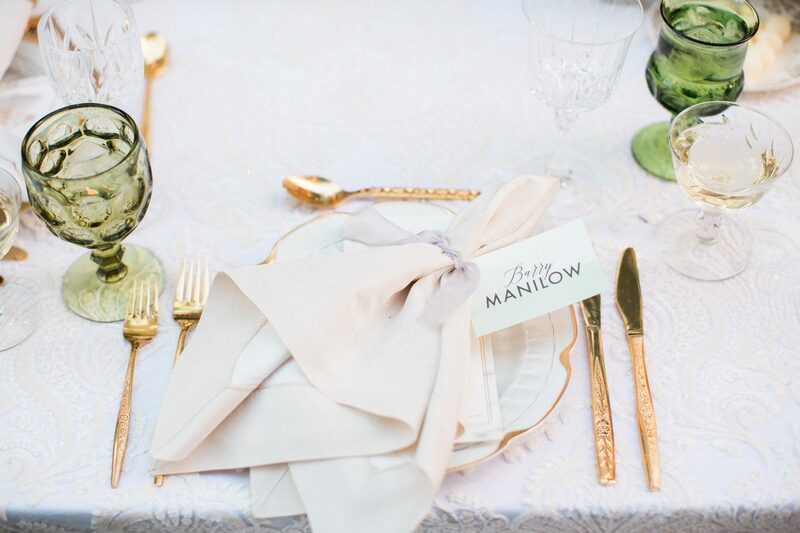 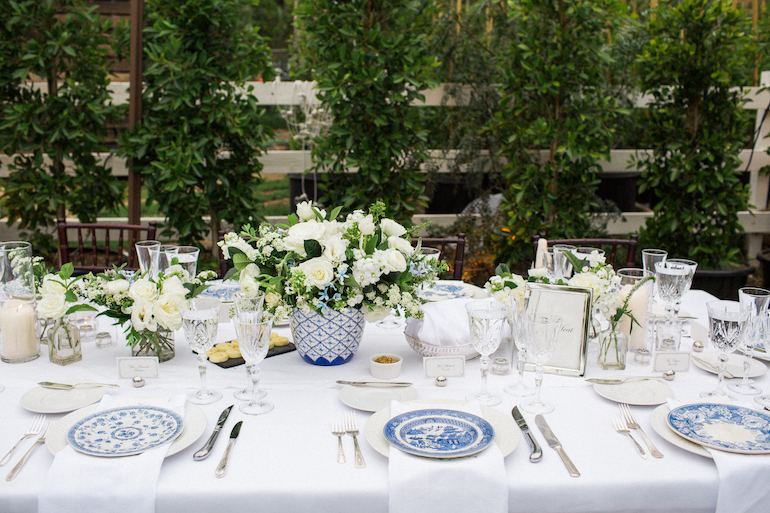 We enjoyed working with Emily and Brett to make their dream of an intimate vineyard dinner party come to life. 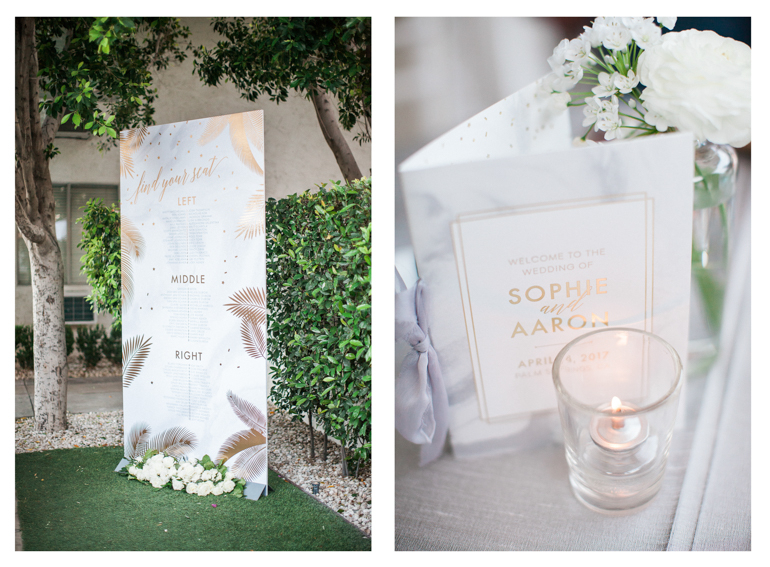 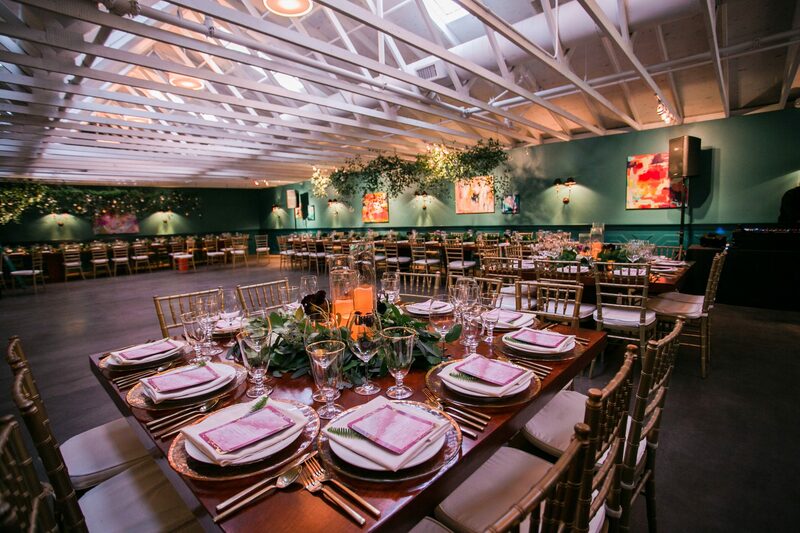 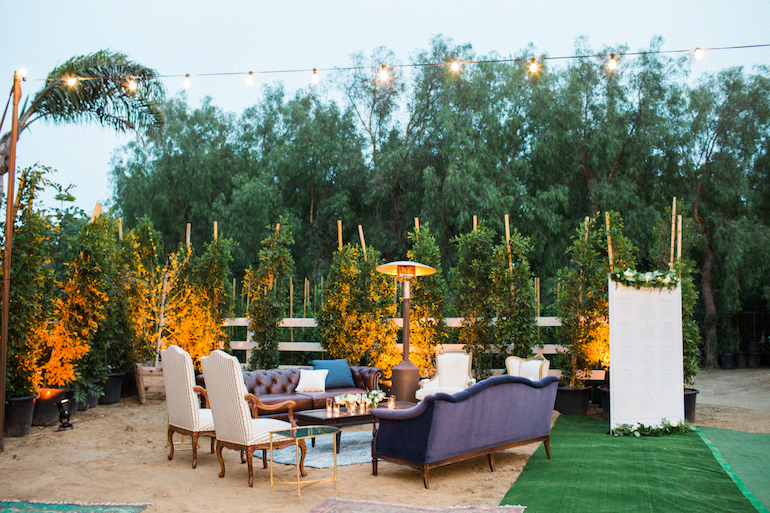 The soirée had a natural rustic feel with a contemporary flair, and we absolutely loved how it turned out! 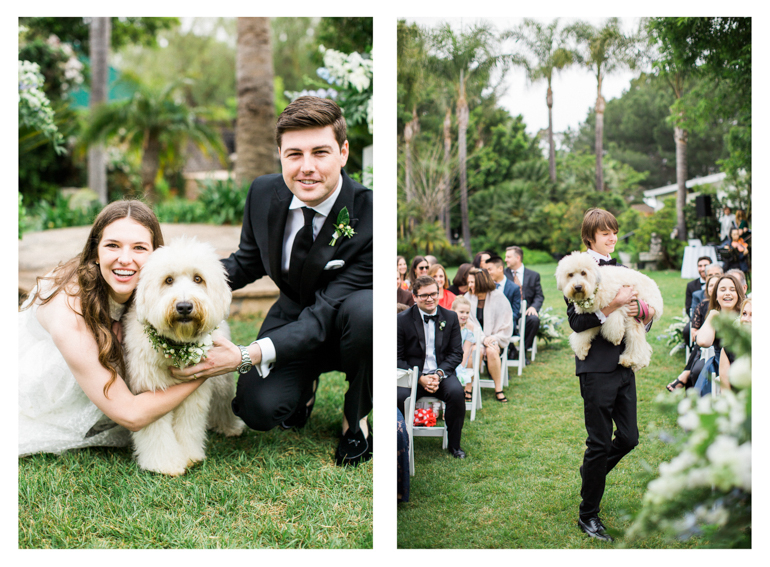 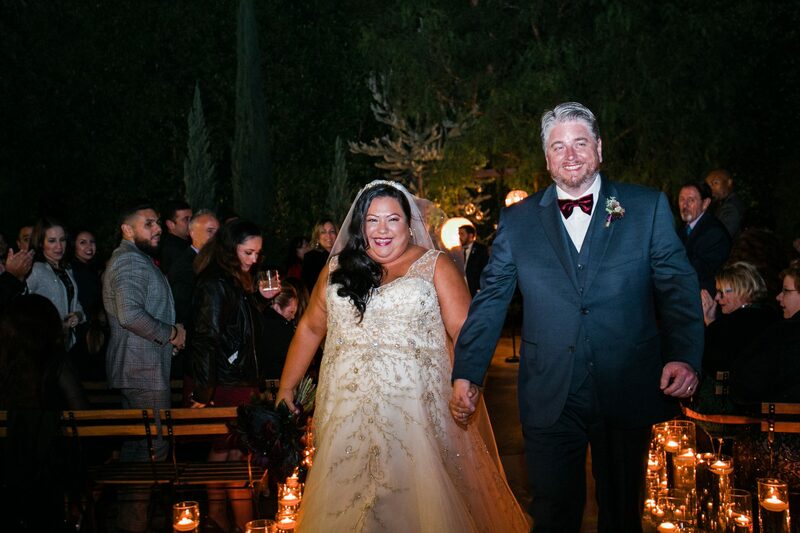 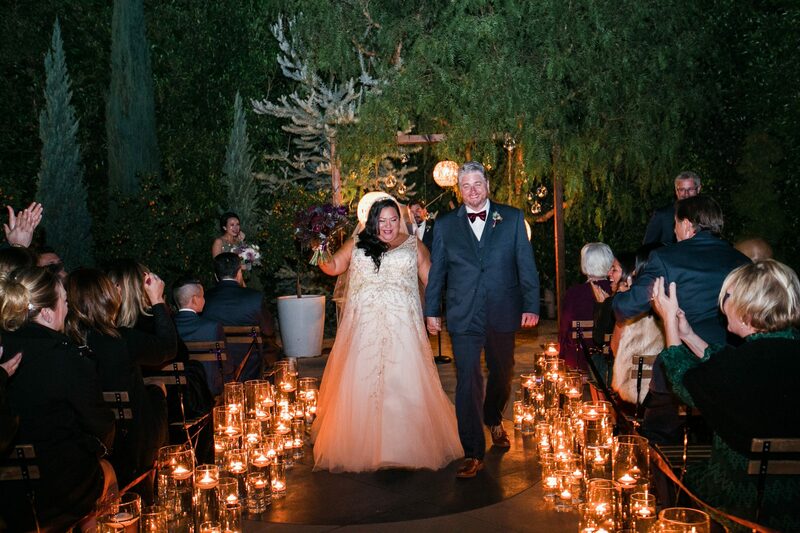 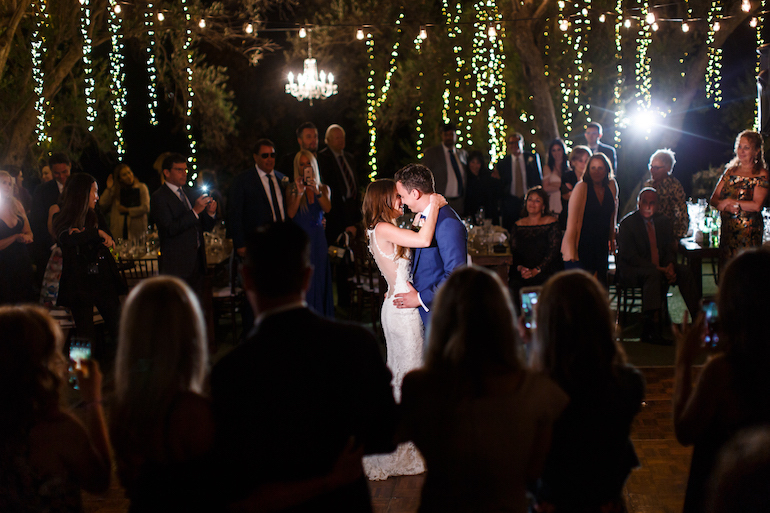 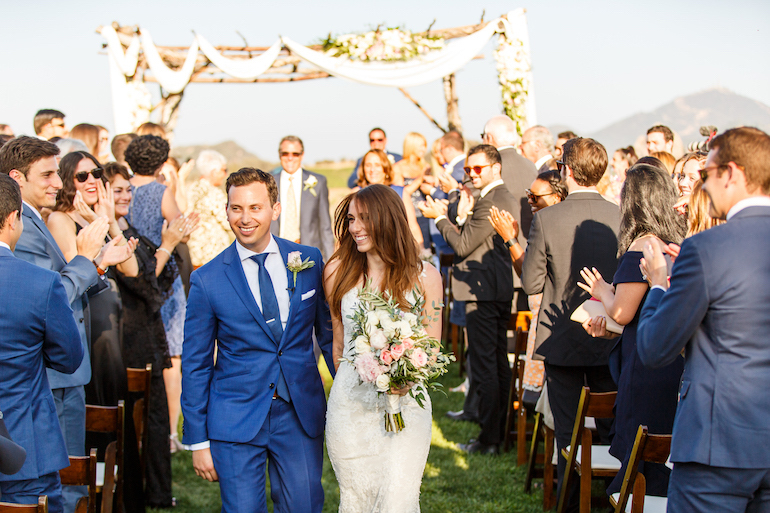 Emily and Brett tied the knot at Saddlerock Ranch in Malibu. 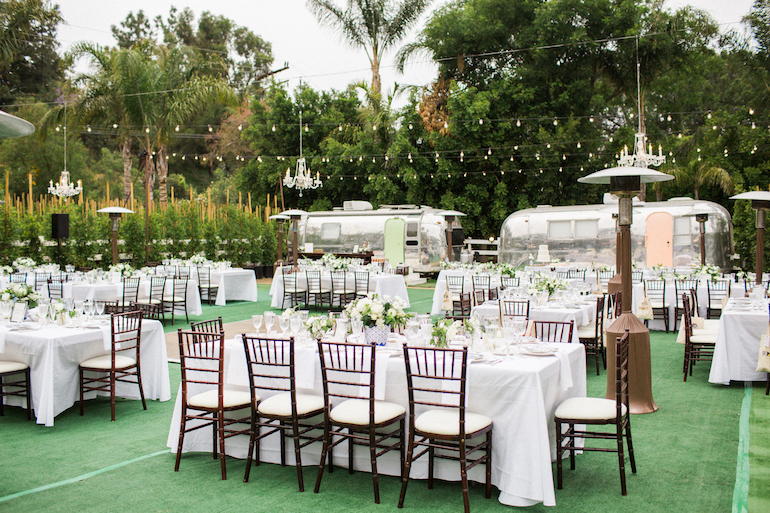 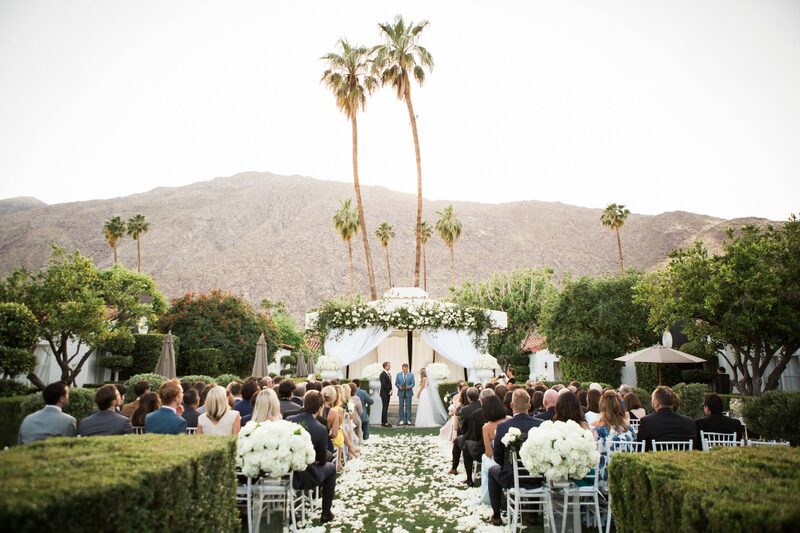 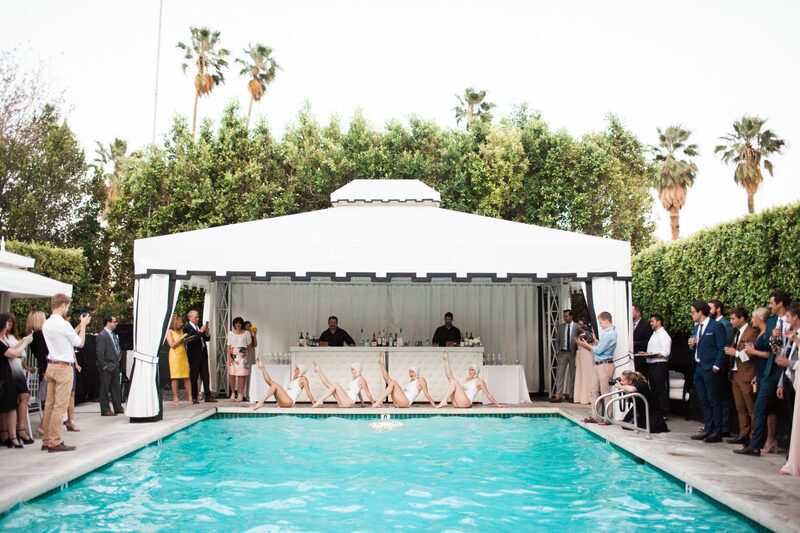 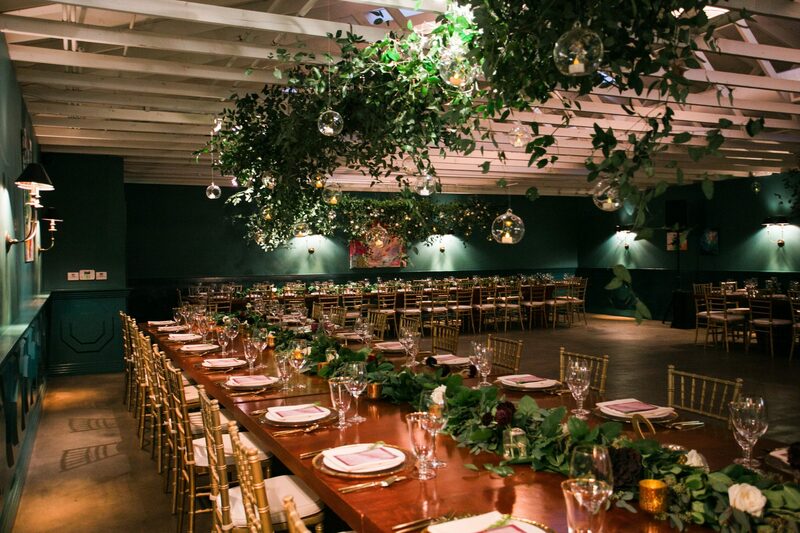 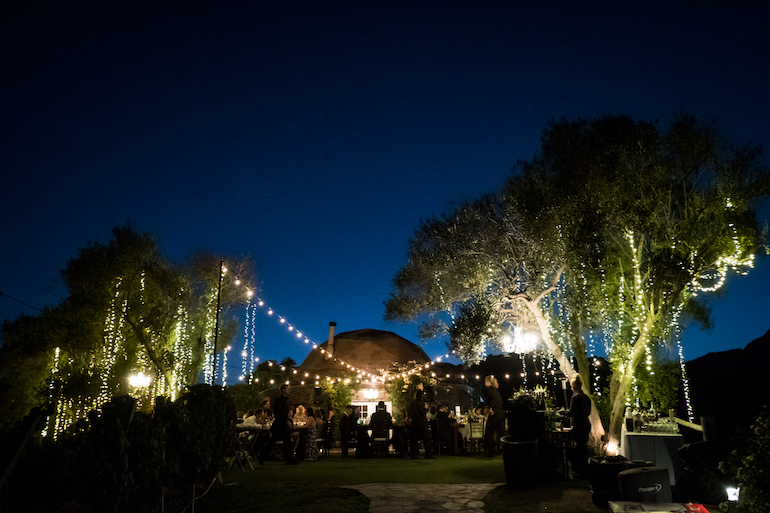 With the perfect combination of natural beauty and rustic charm, the venue set the stage for a stunning celebration. 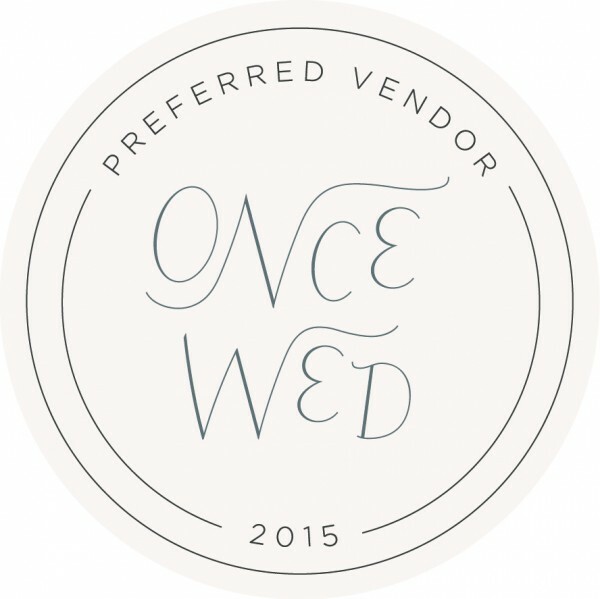 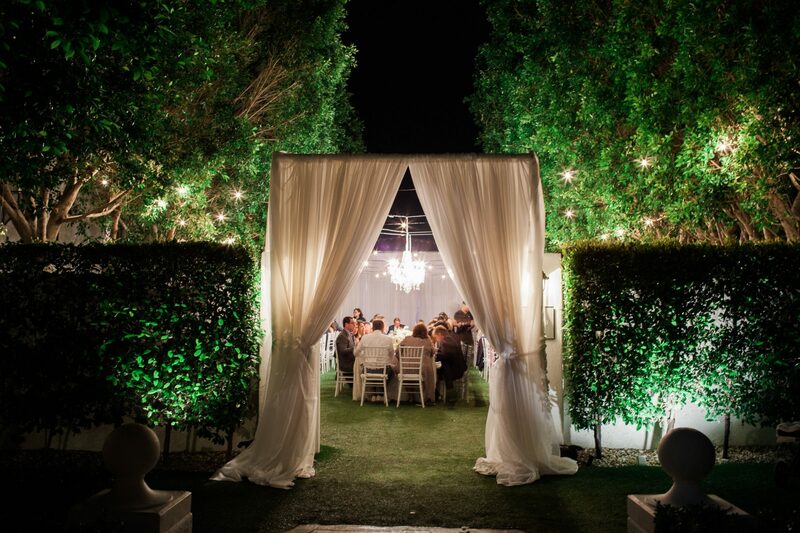 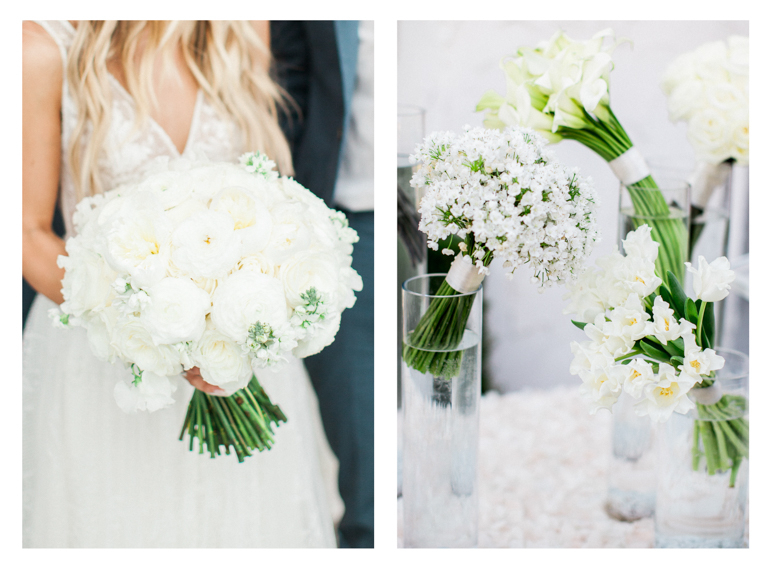 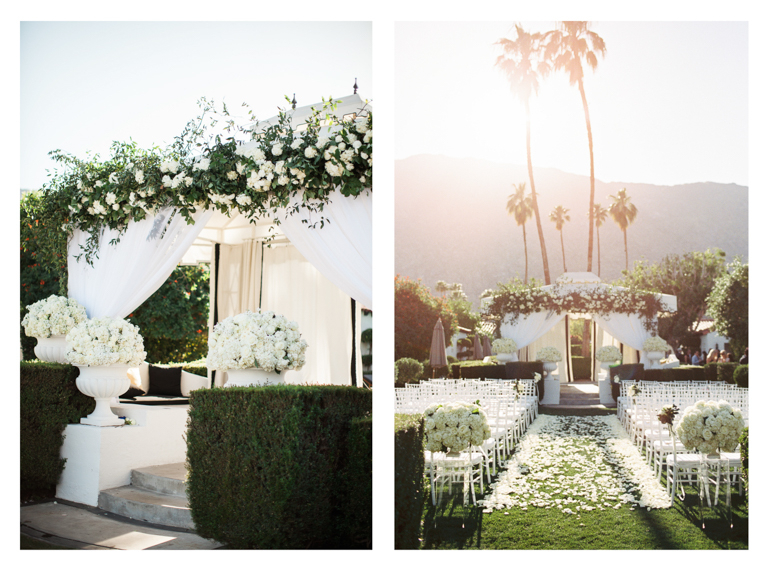 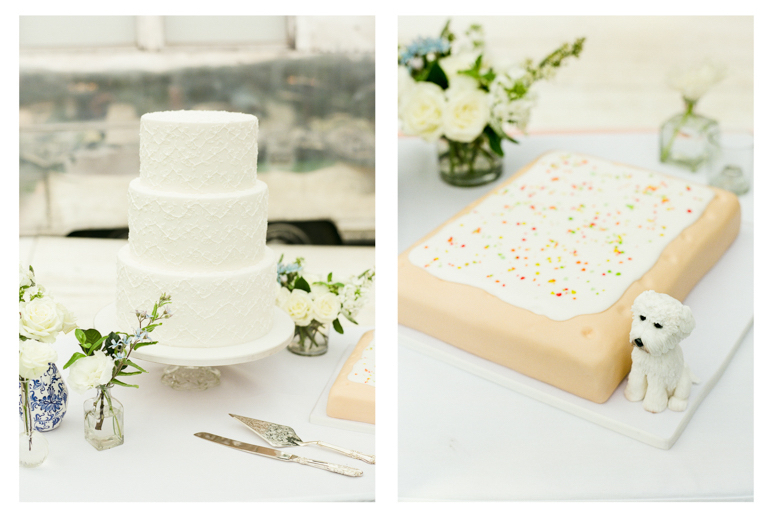 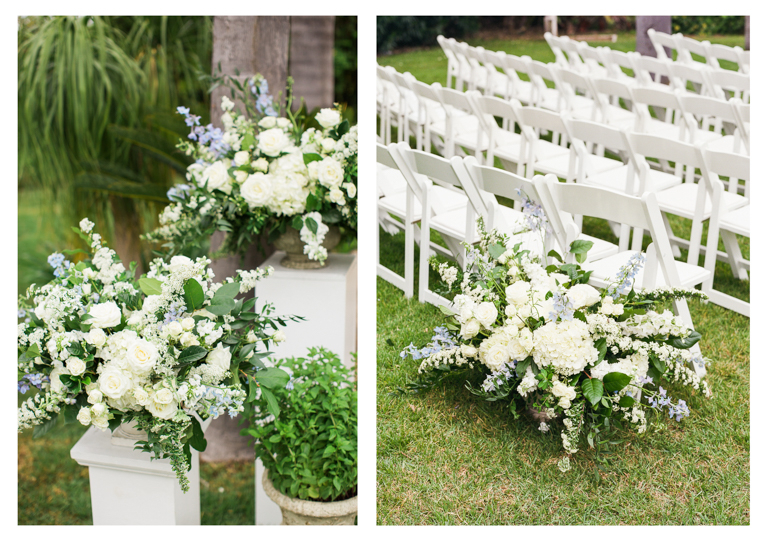 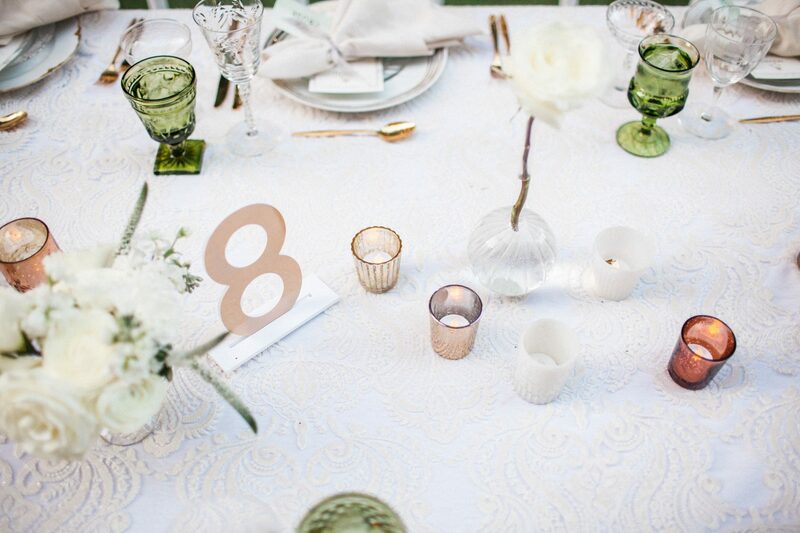 The colors we chose for the event were whites and greens, with diluted blush touches. 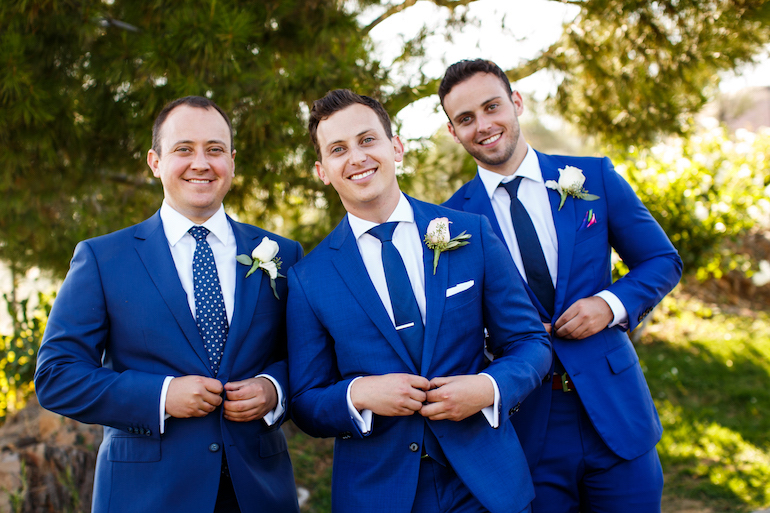 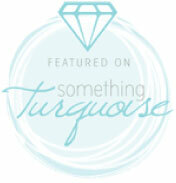 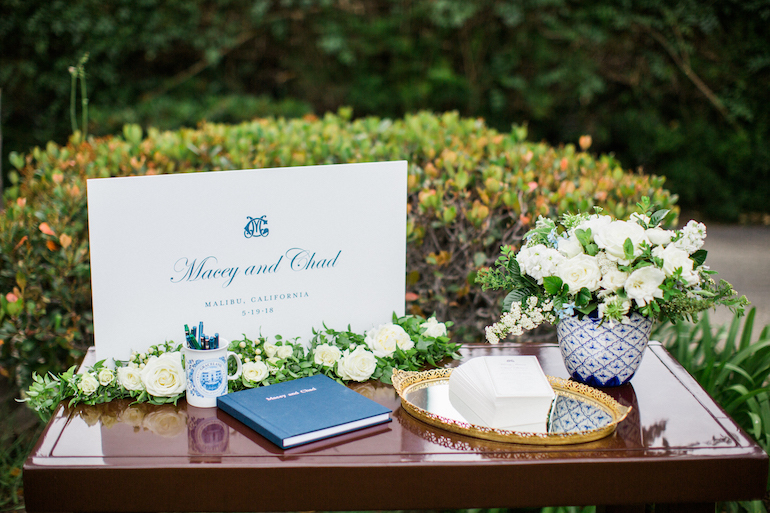 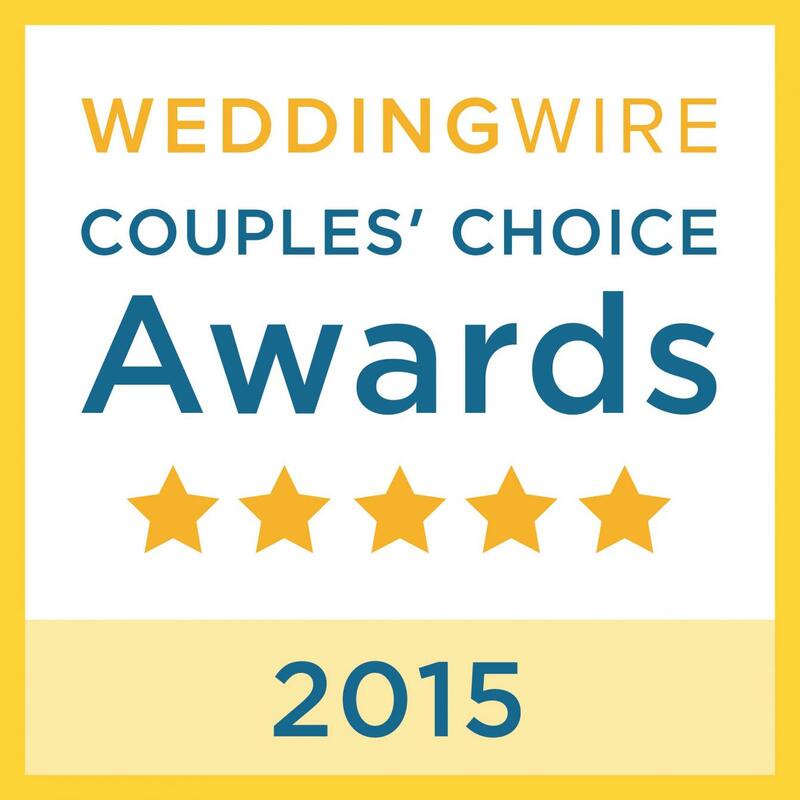 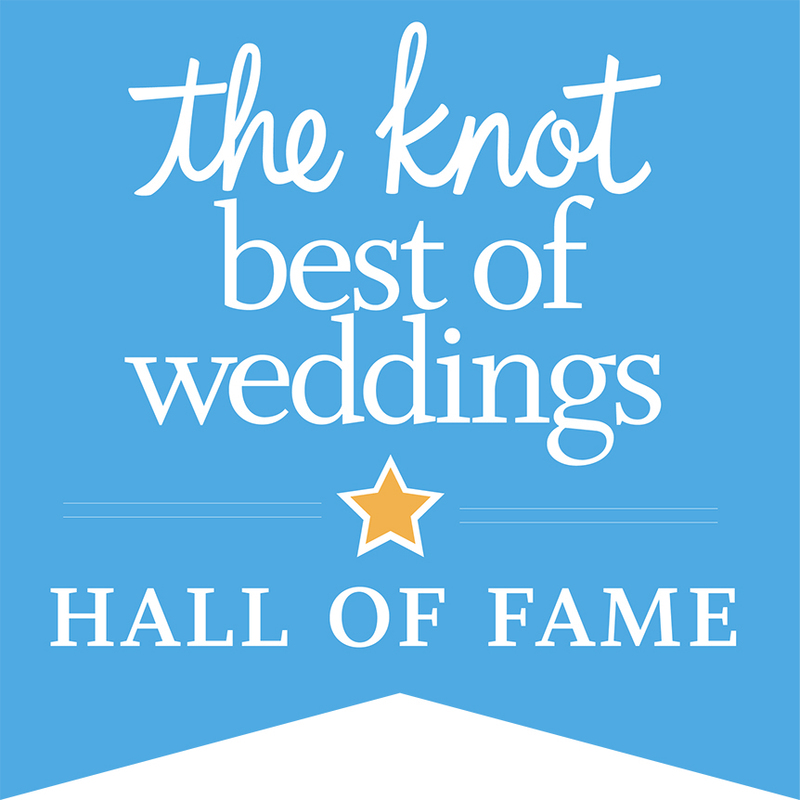 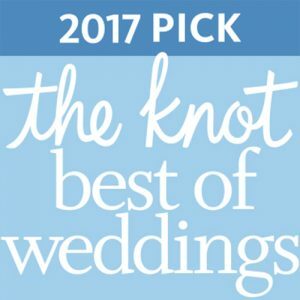 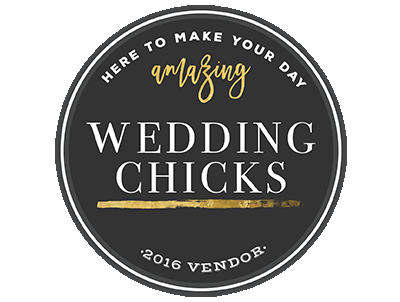 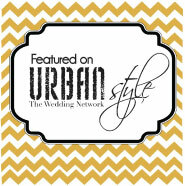 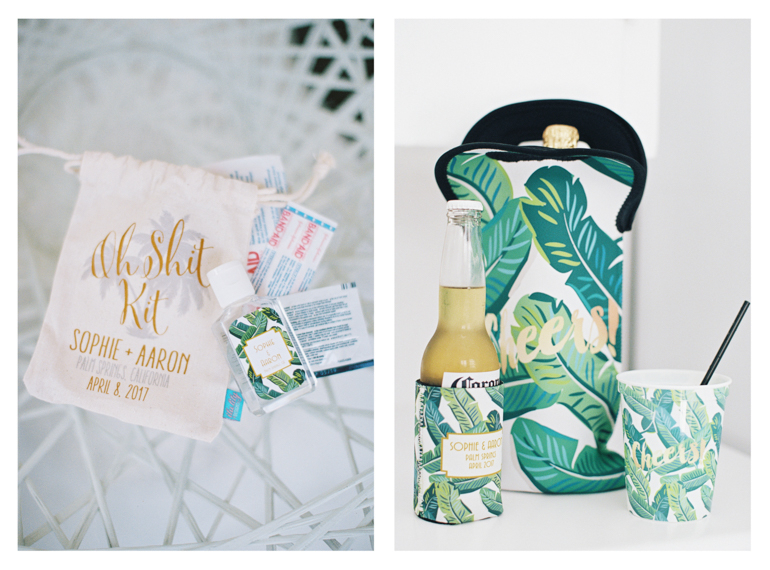 These selections paired perfectly against the cobalt blue groom and groomsmens’ suits. 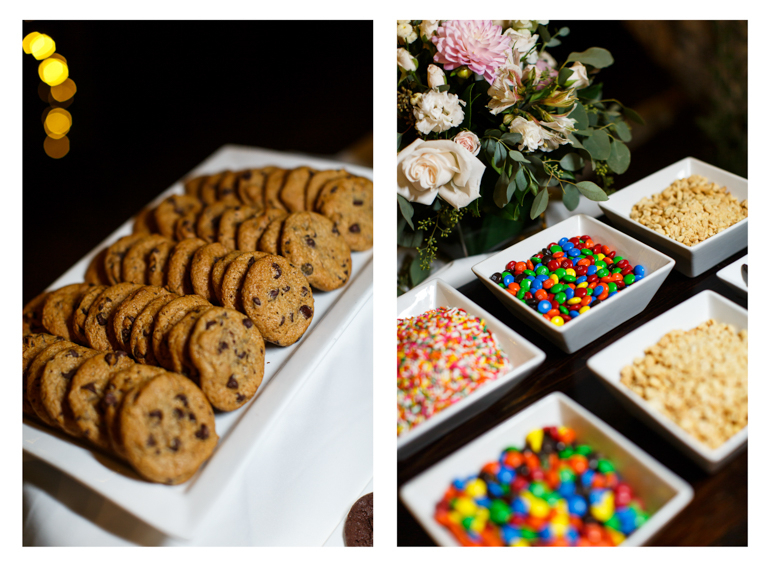 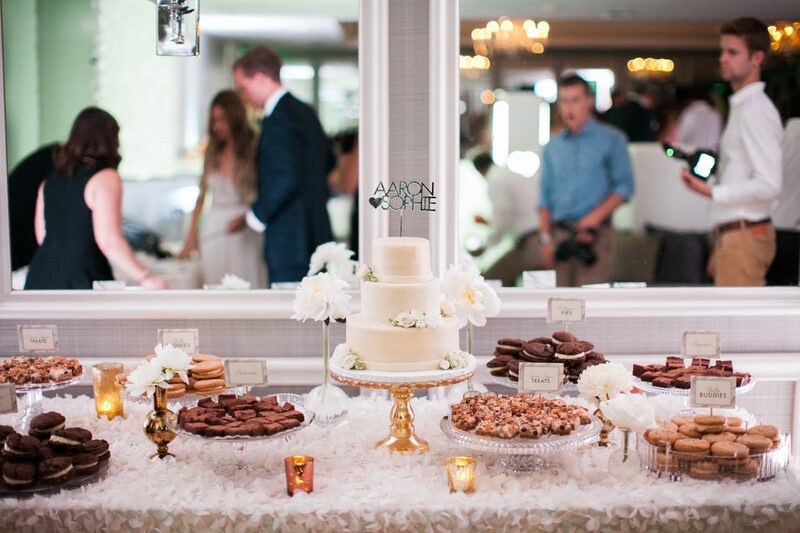 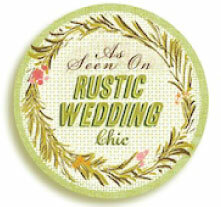 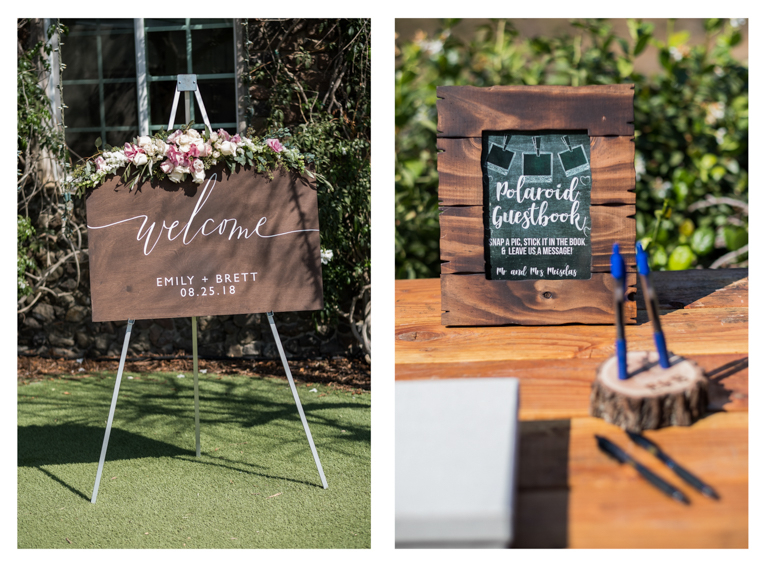 We accented the venue with wooden details in order to keep with the natural, rustic feel. 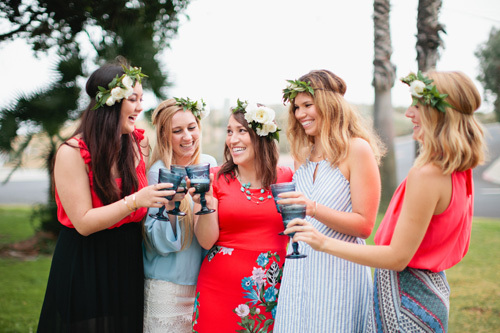 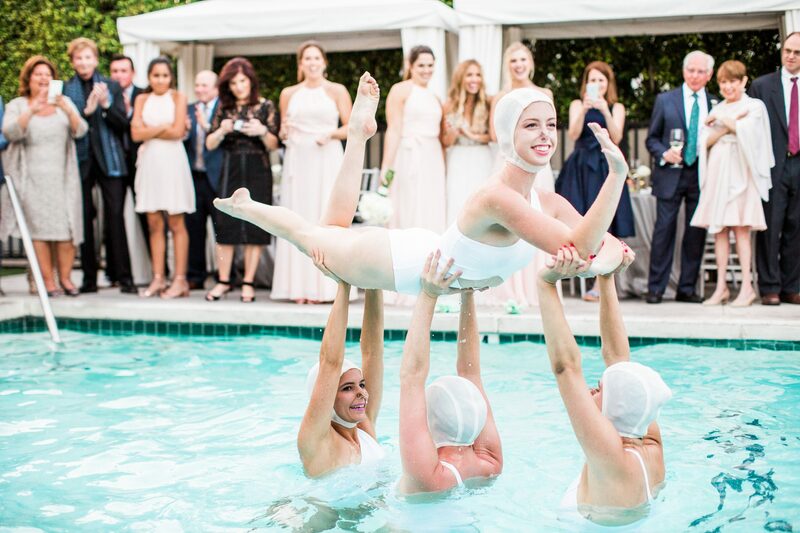 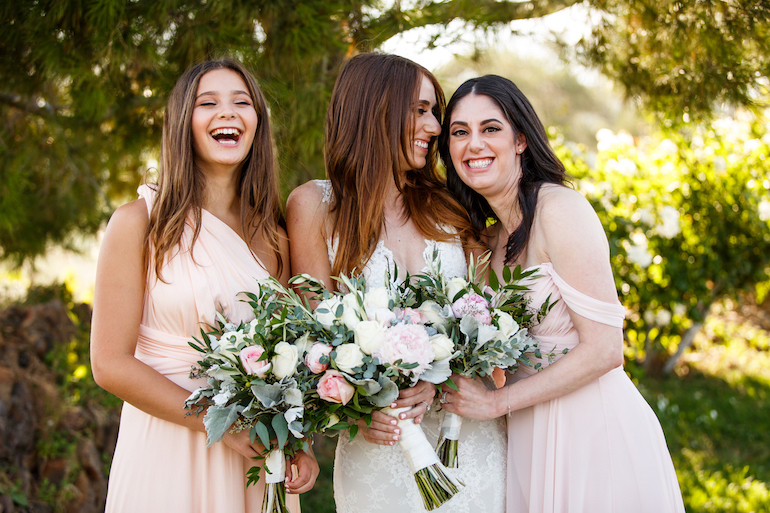 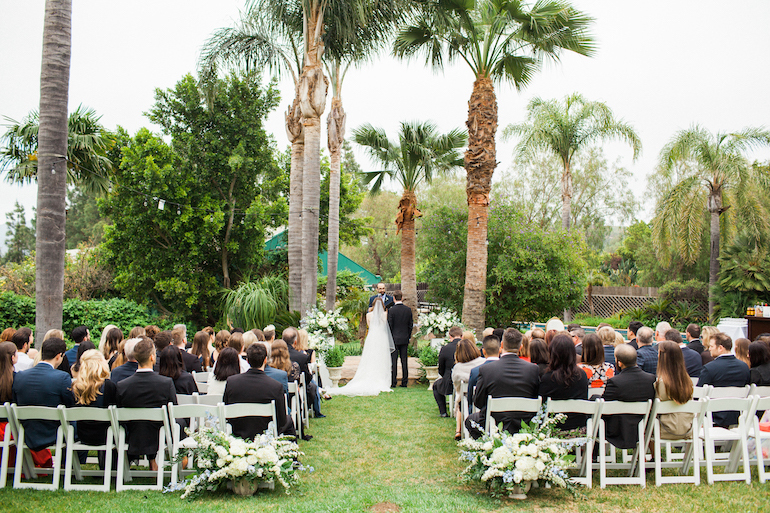 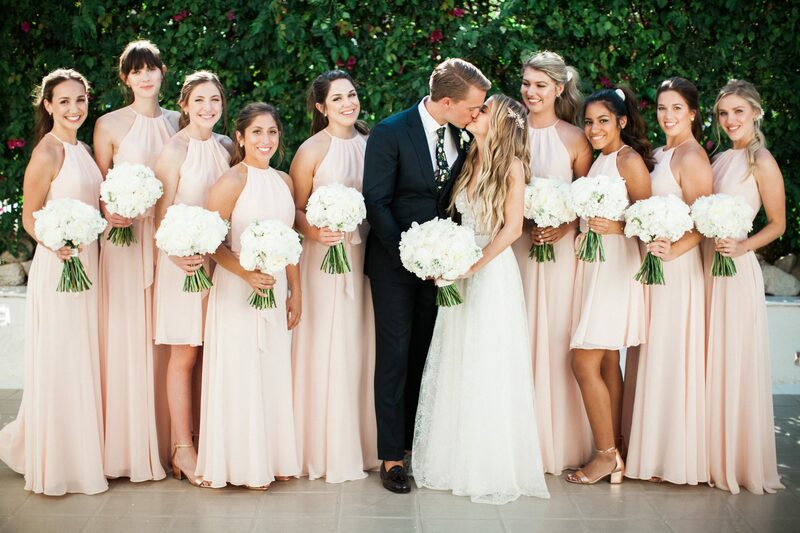 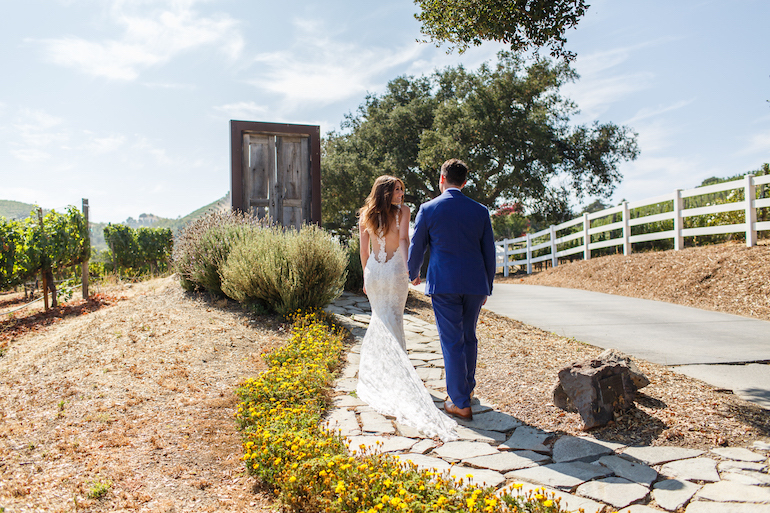 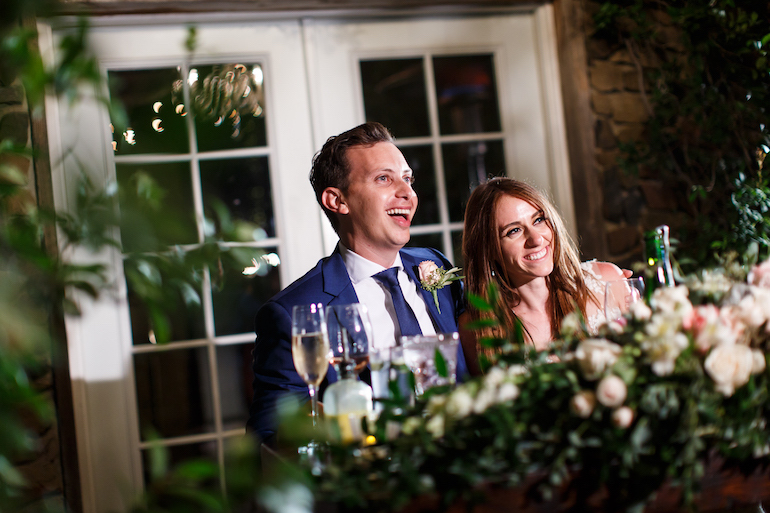 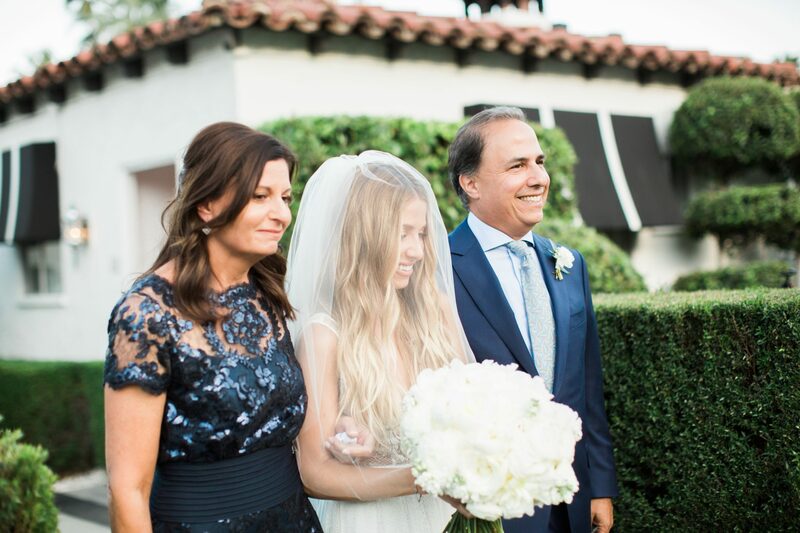 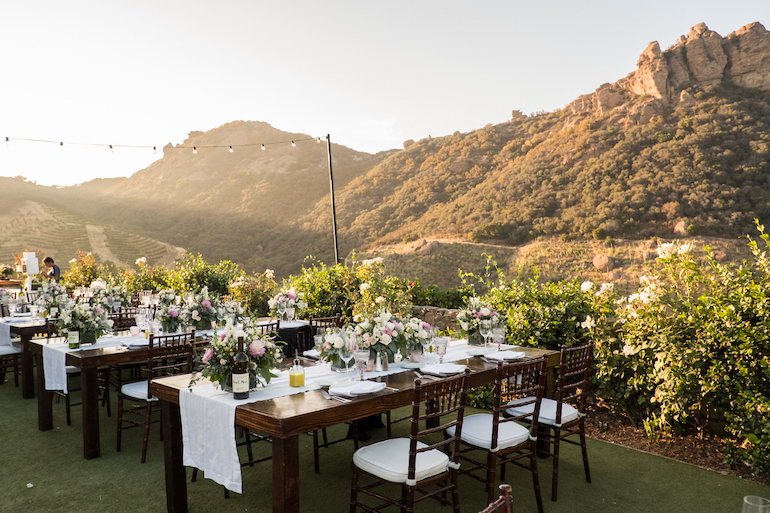 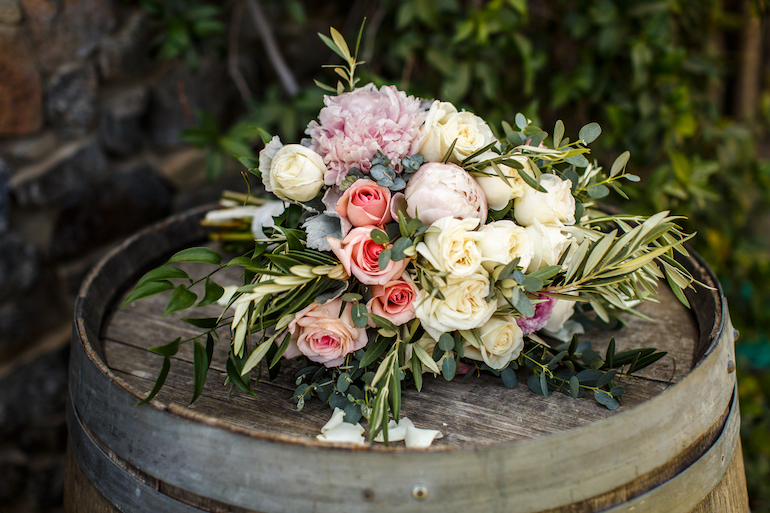 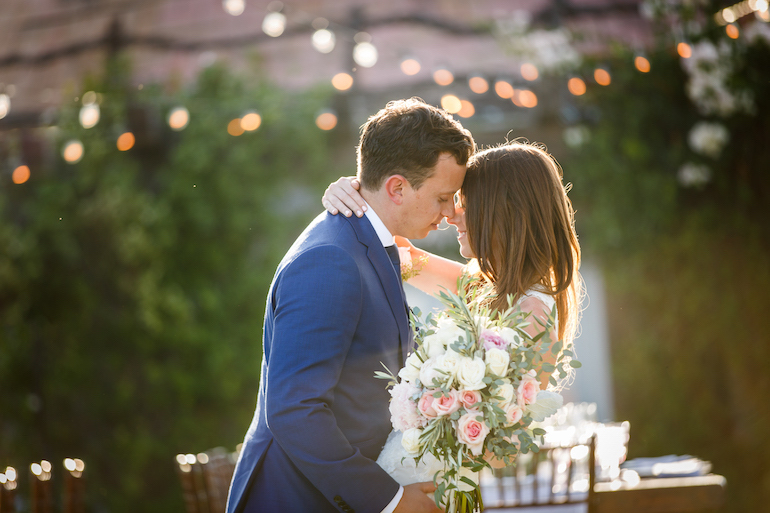 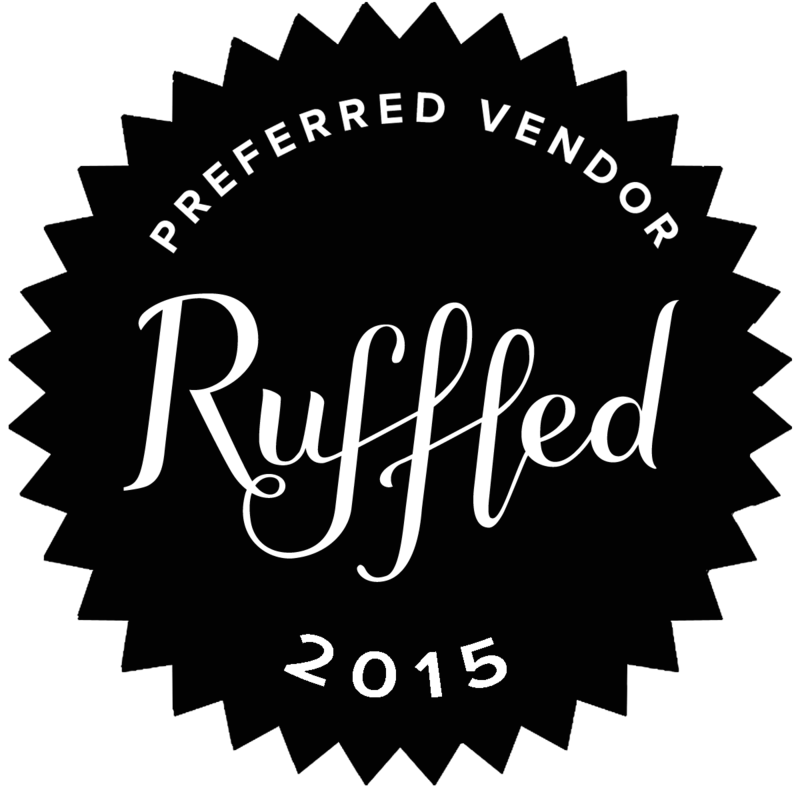 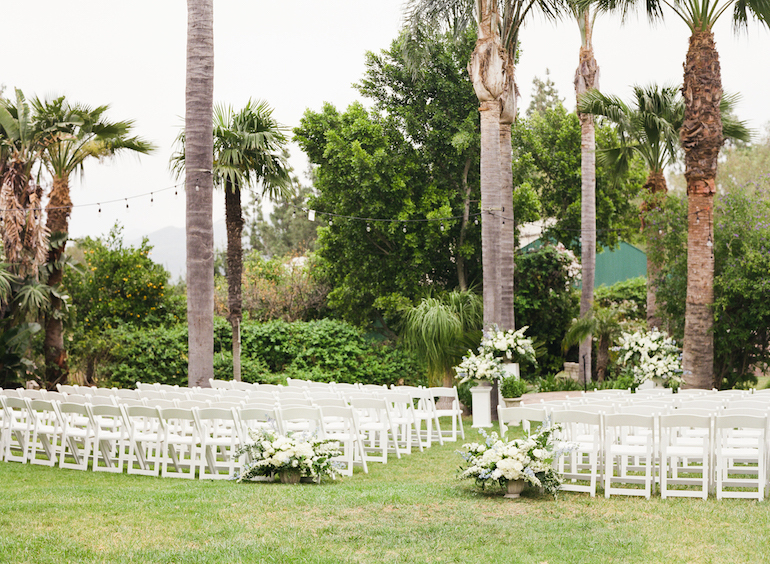 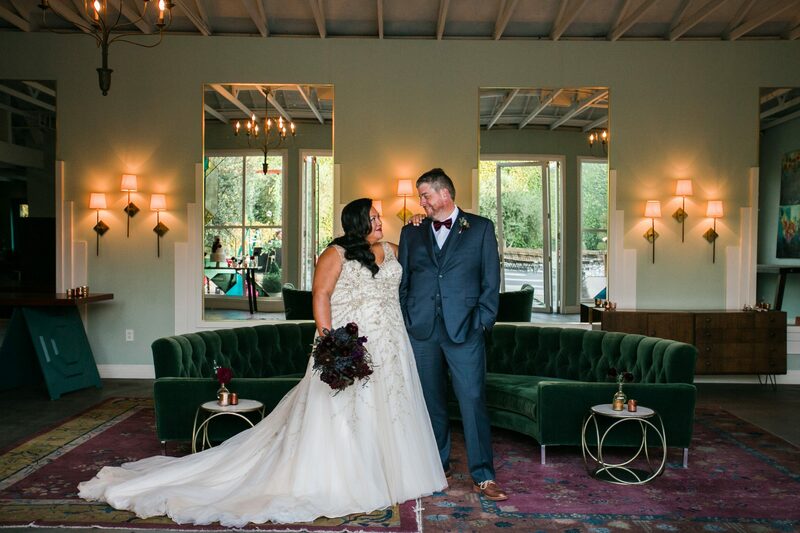 Overlooking beautiful vineyards within the Santa Monica Mountains, this venue was the ideal location for the couple to exchange their “I Do’s.” Guests were greeted with a glass of the couple’s favorite Saddlerock wine, Rosé (all day!). 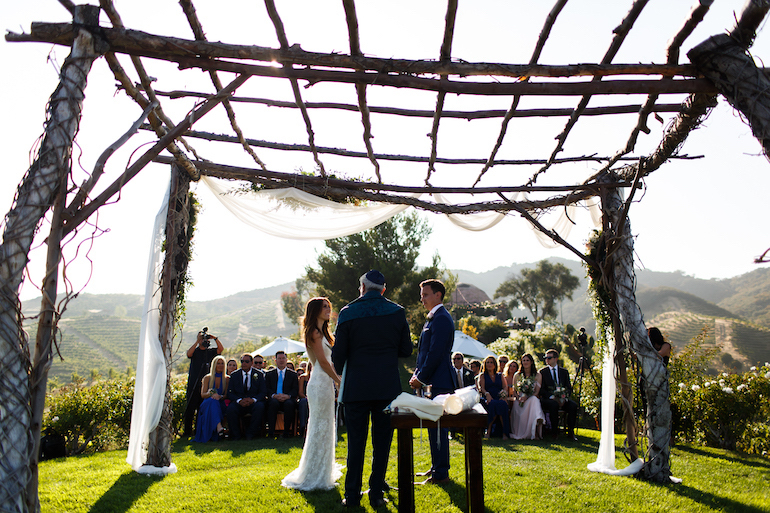 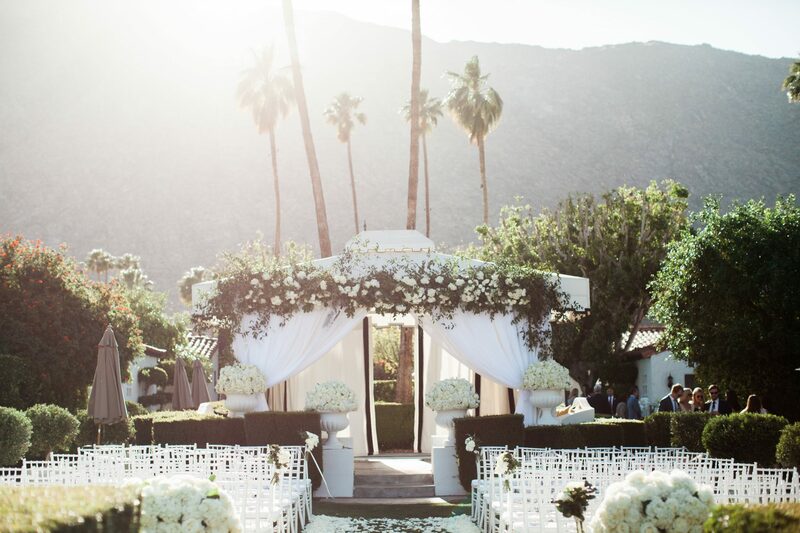 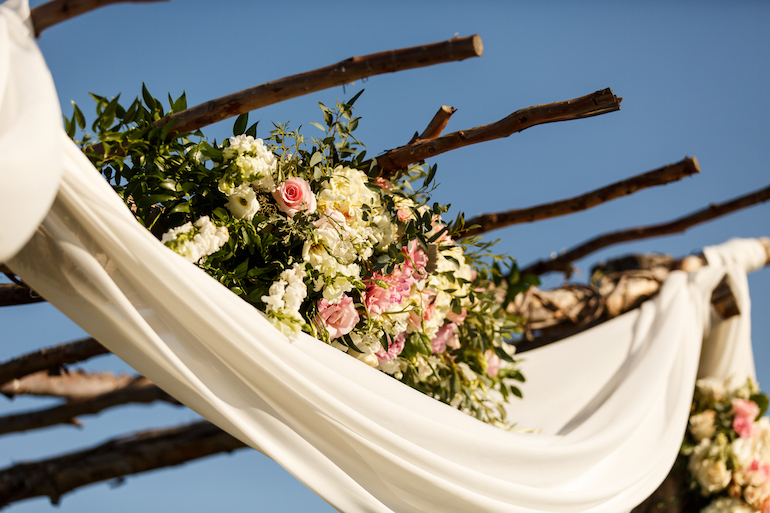 The intricate oak Chuppah was bound with grape vines, which we perfected with chiffon hanging drapery and a touch of greenery, along with delicate white and blush florals. 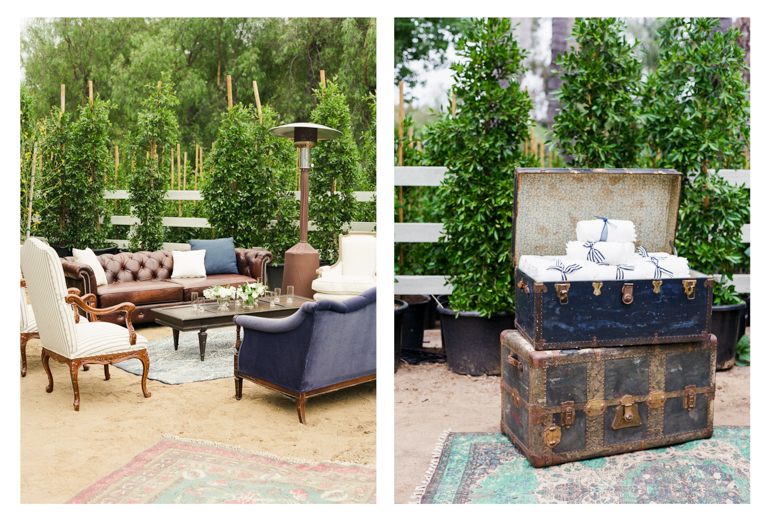 For cocktail hour, we set up an intimate lounge area with a modern and clean feel. 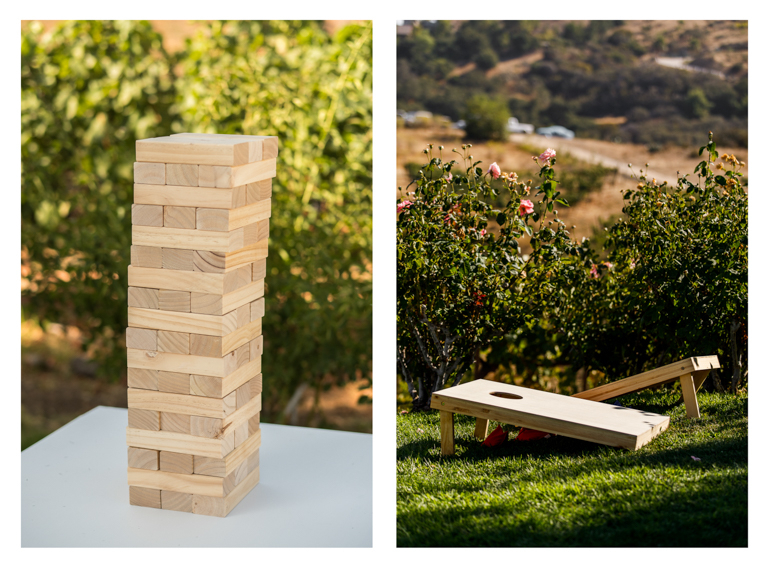 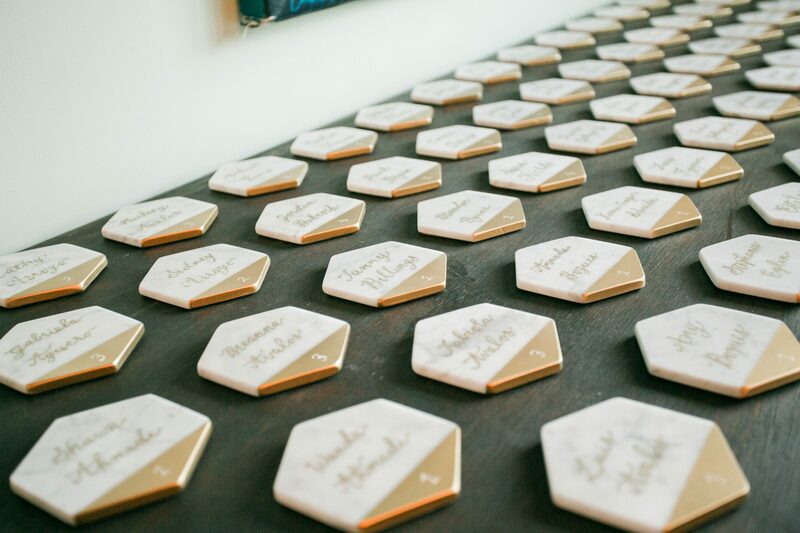 Since the couple wanted to maintain a fun and playful atmosphere, we included a games, such as cornhold, jenga and even tic-tac-toe… XOXO! 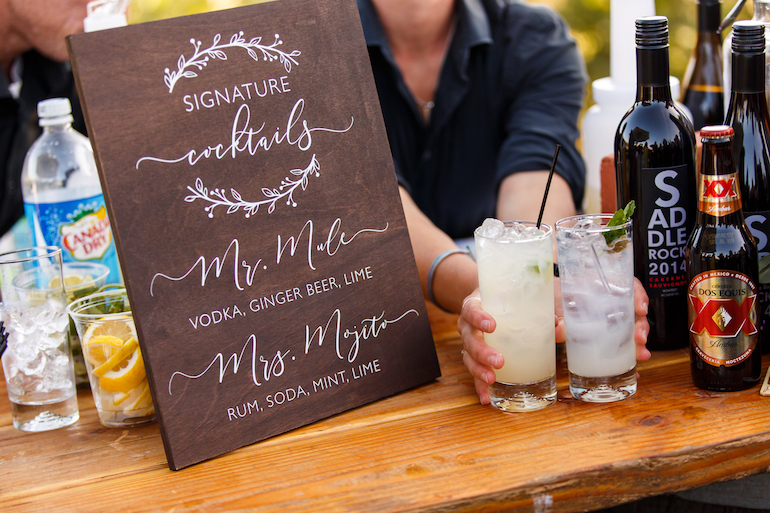 The couple also selected signature cocktails to inspire their guests’ drink choices. 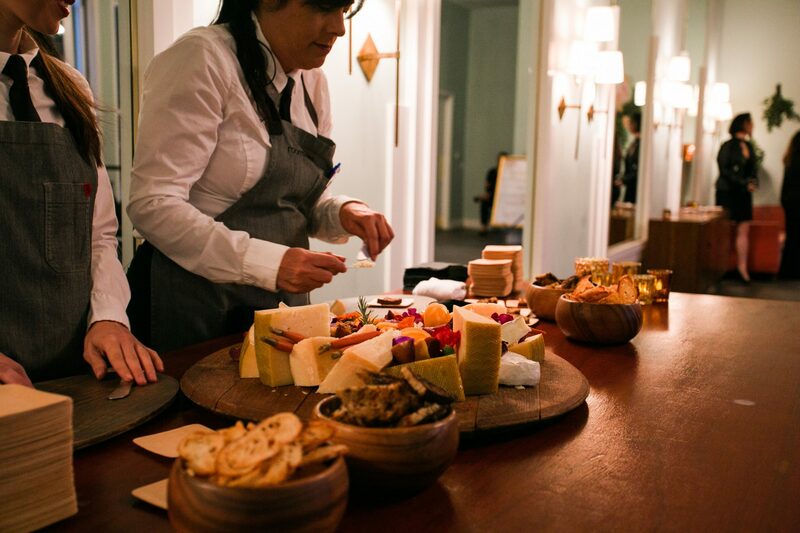 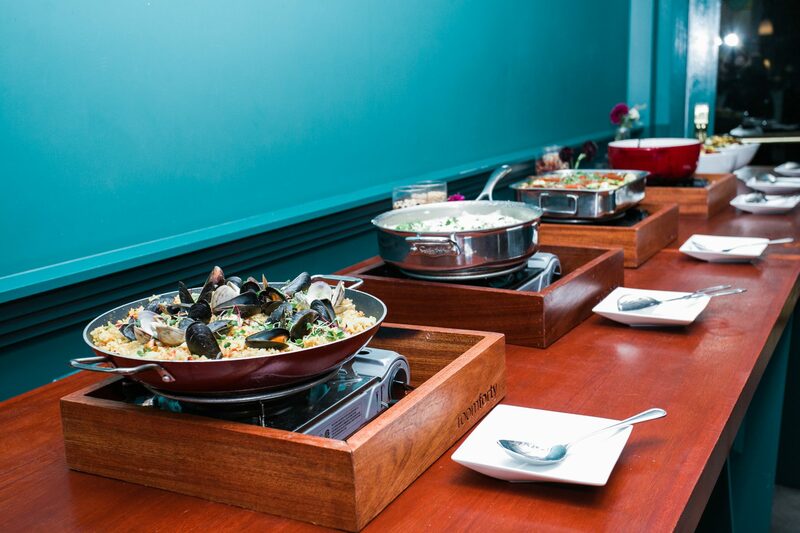 These could be enjoyed in the lounge area, alongside appetizers. 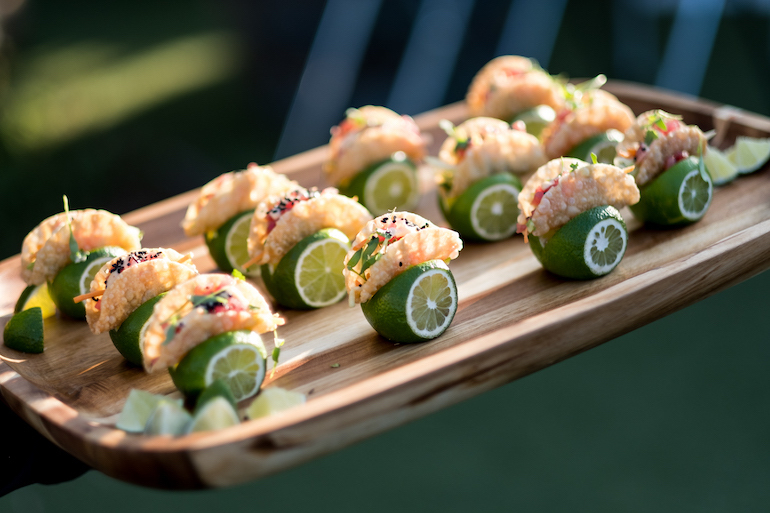 The miniature tacos were surely a guest favorite! 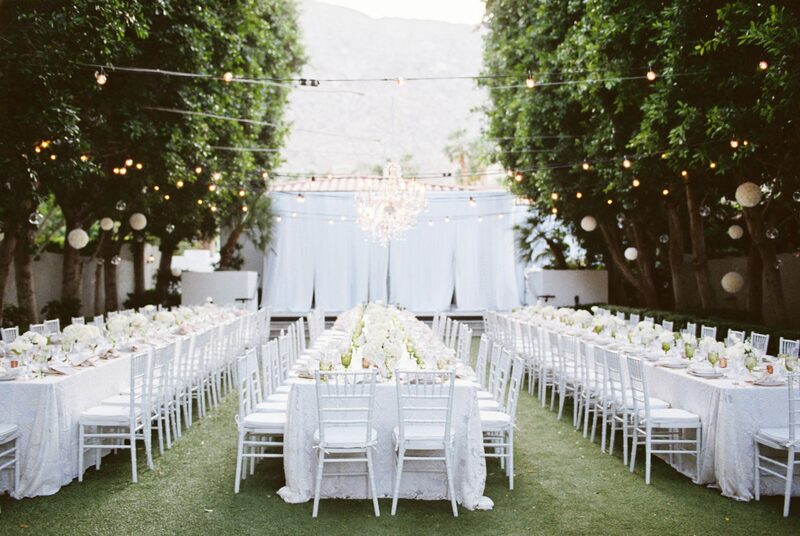 For the reception, we draped white table runners over exposed wooden tables to further incorporate the simple, rustic feel. 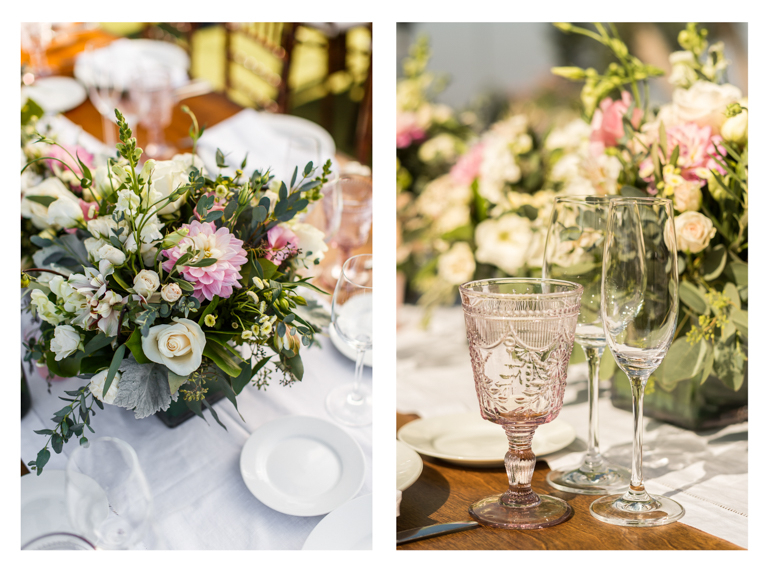 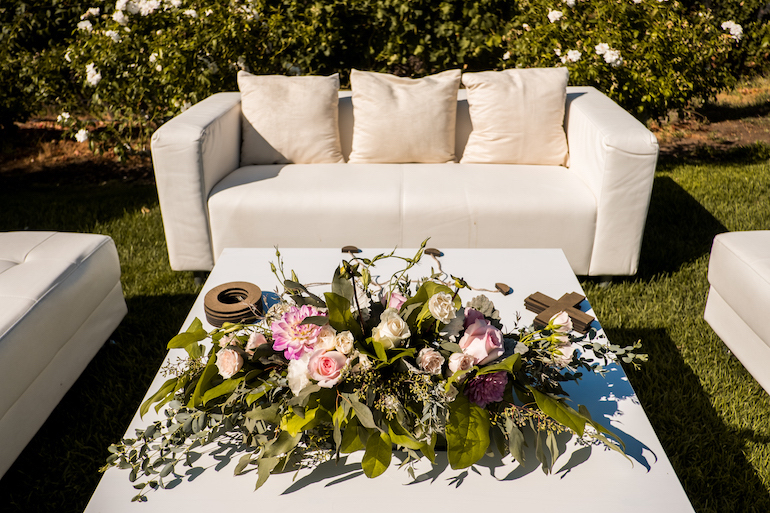 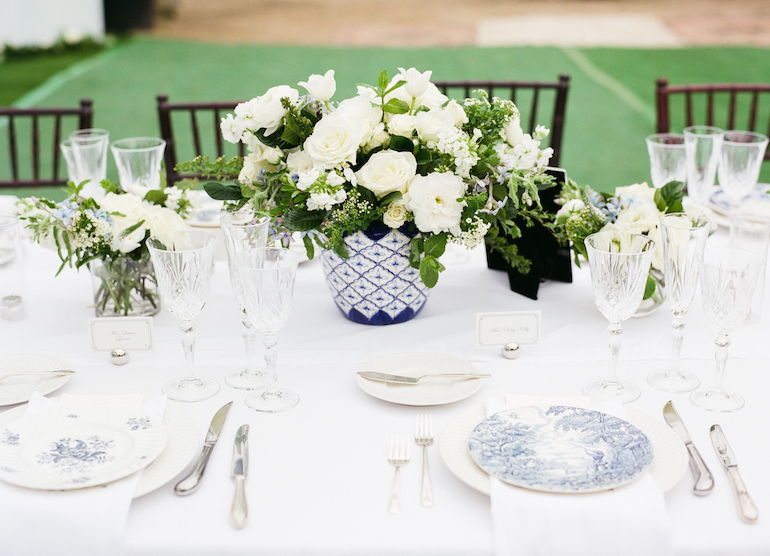 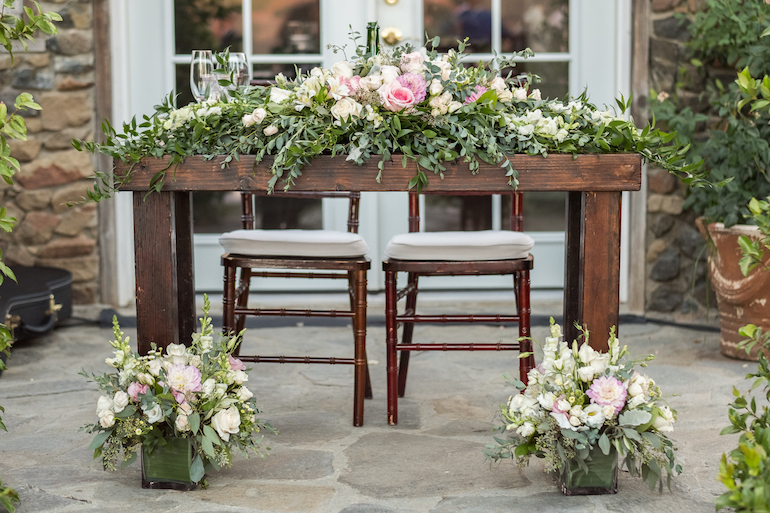 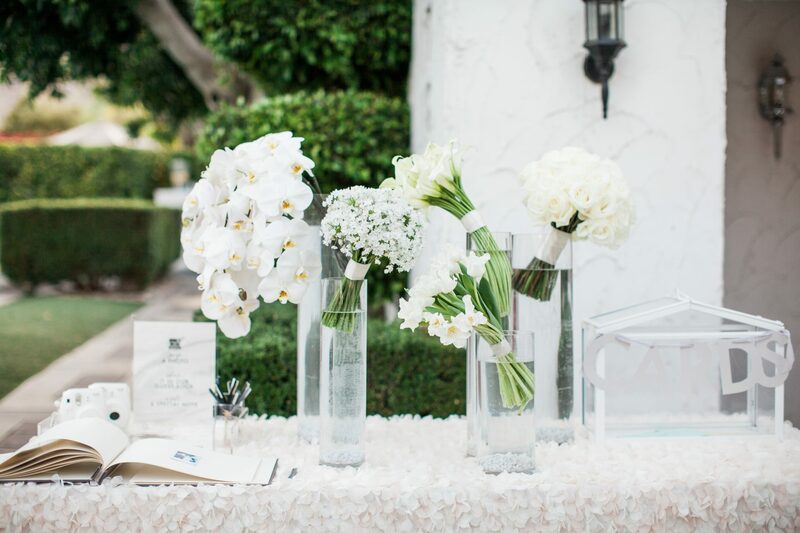 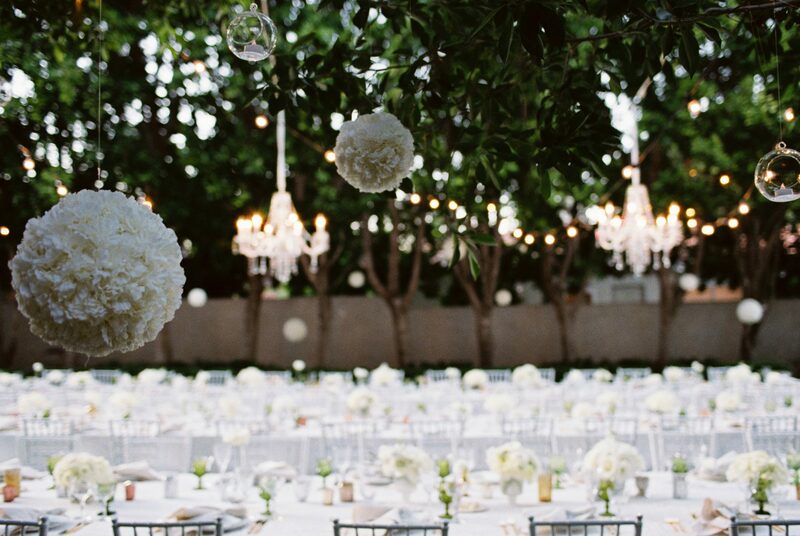 The tables were topped with organic greenery and gorgeous white and blush arrangements. 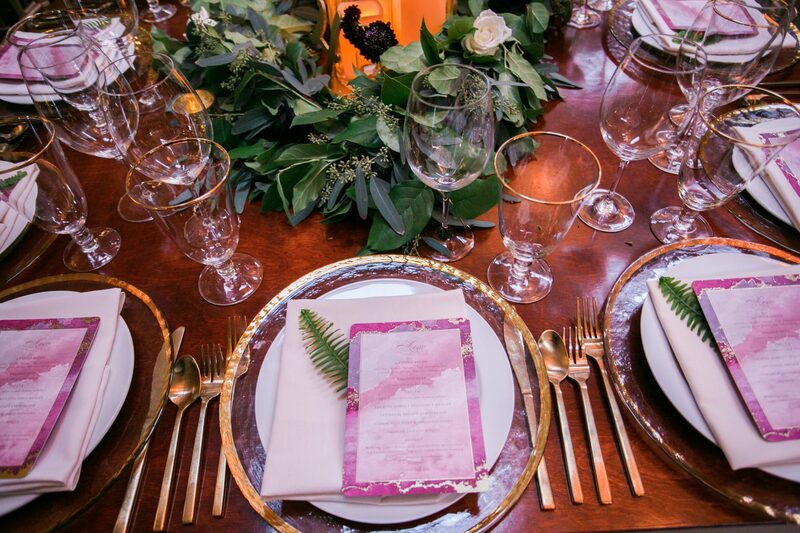 The table settings were minimal, with a clean look, and were each completed with a blush-toned glass to add a pop of color. 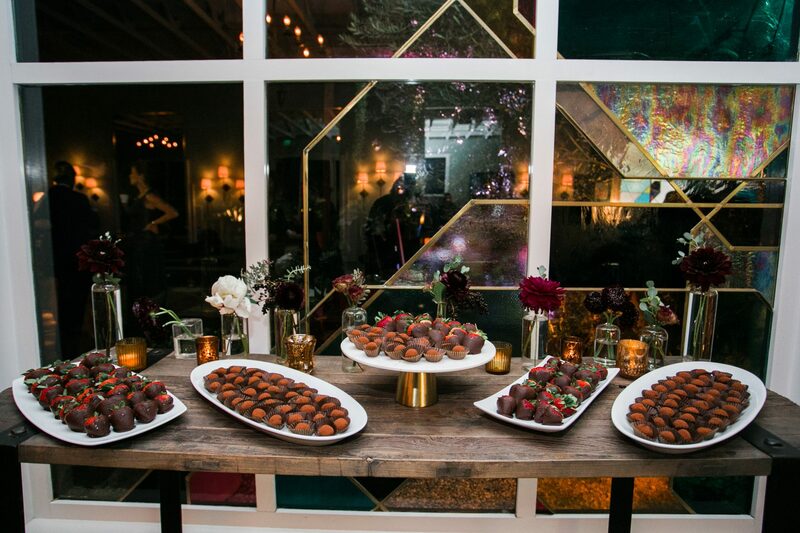 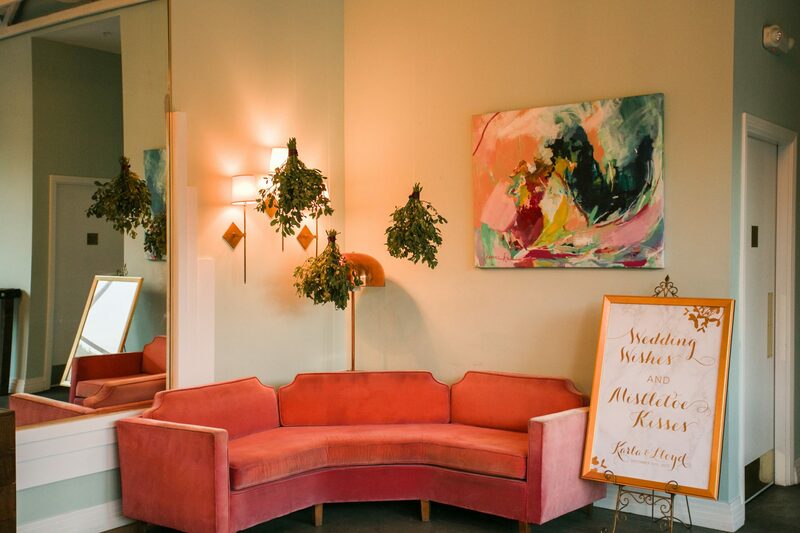 One of our favorite parts of the reception was the stunning sweethearts’ table, the perfect place for the newlyweds to enjoy their evening surrounded by loved ones. 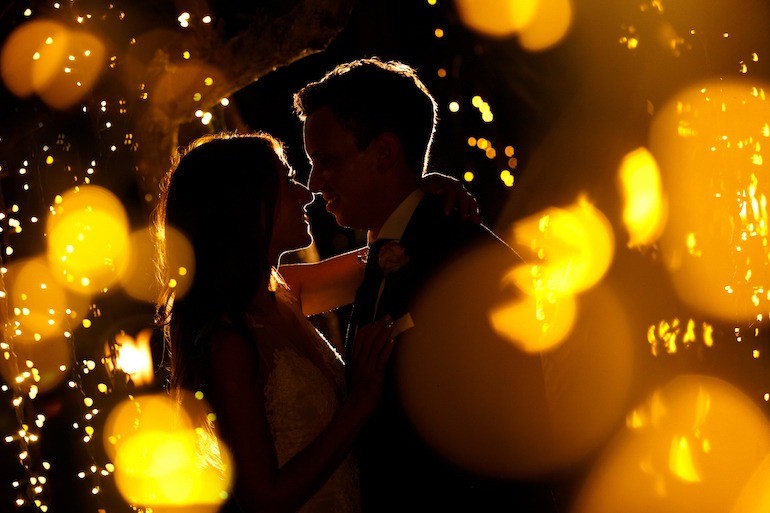 By night, the dance floor transformed into a magical space illuminated by glowing lights. 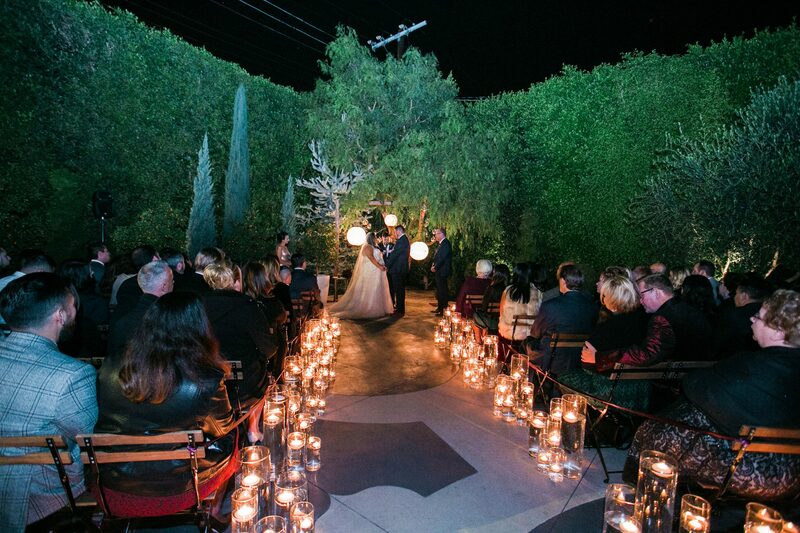 The draping garden lights, ornate chandeliers, and hanging fairy lights created an enchanting atmosphere for guests to dance the night away. 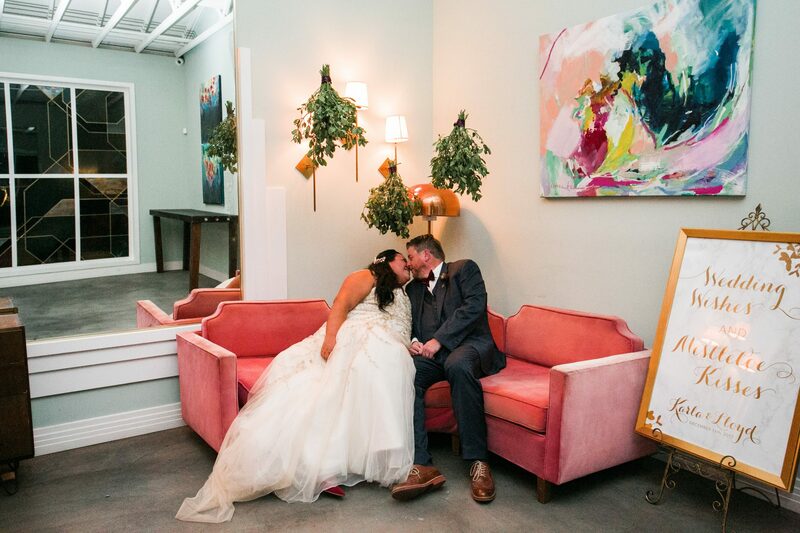 It truly was straight out of a fairytale. 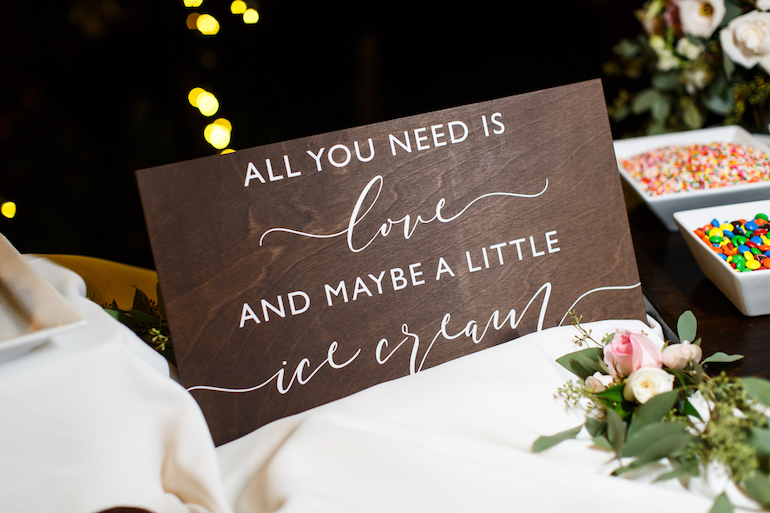 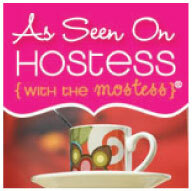 The night concluded on a playful note with dancing, photo booth shenanigans, and an ice cream sundae bar. 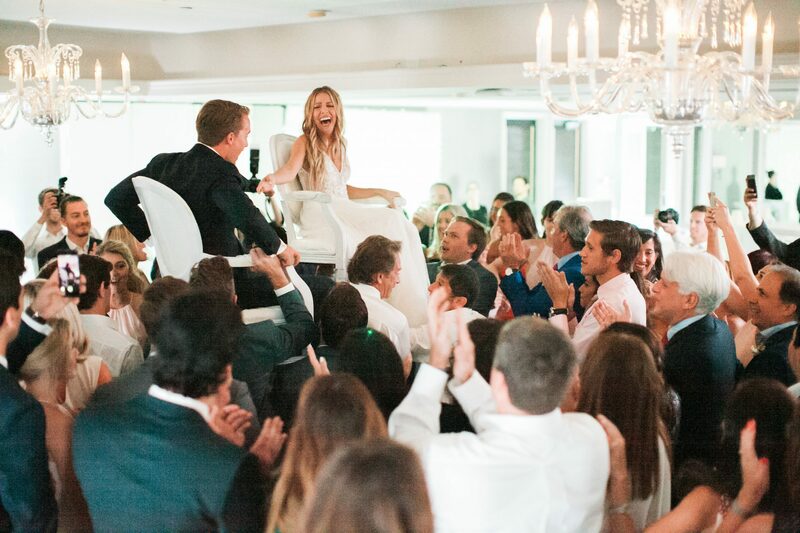 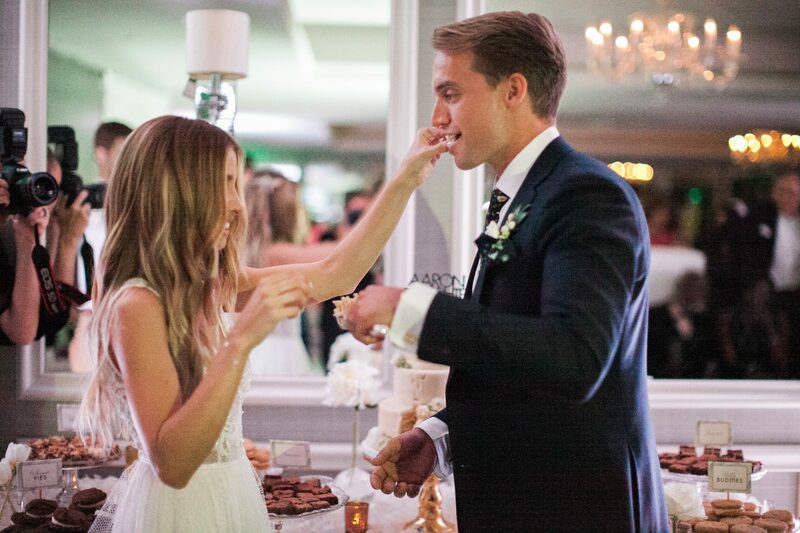 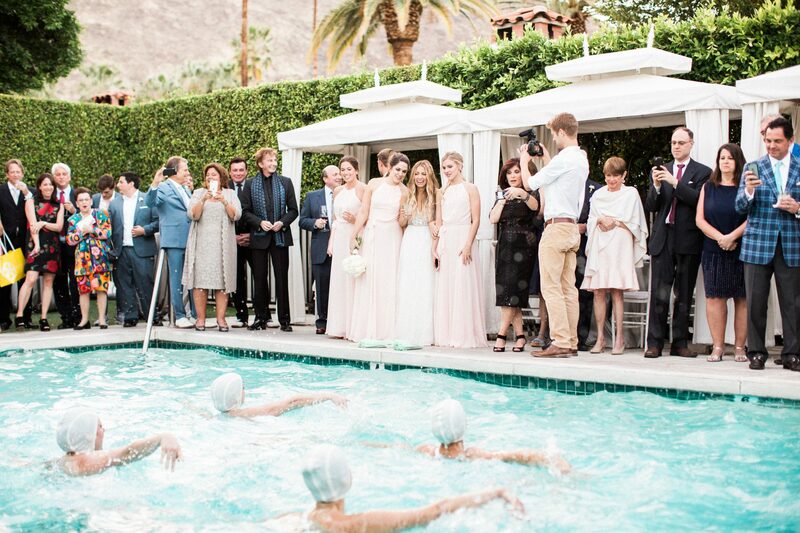 Good times were had by all, particularly the new Mr. & Mrs! 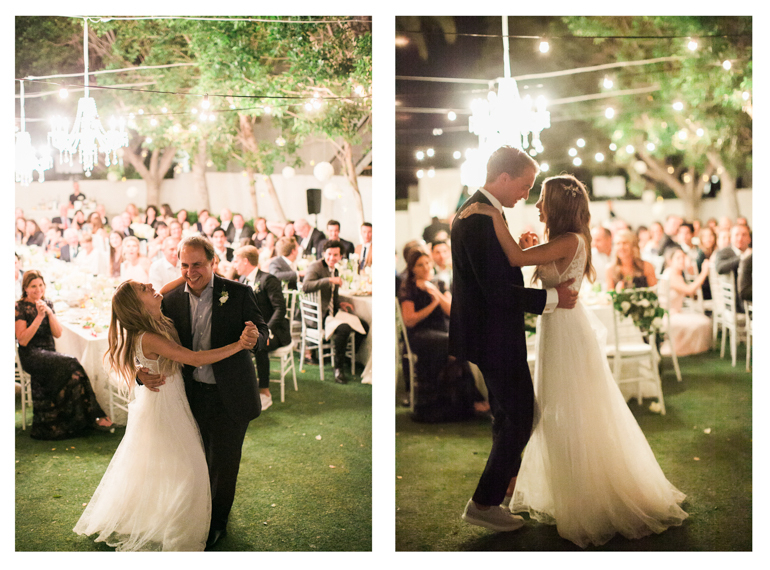 That’s it for now, lovebirds! 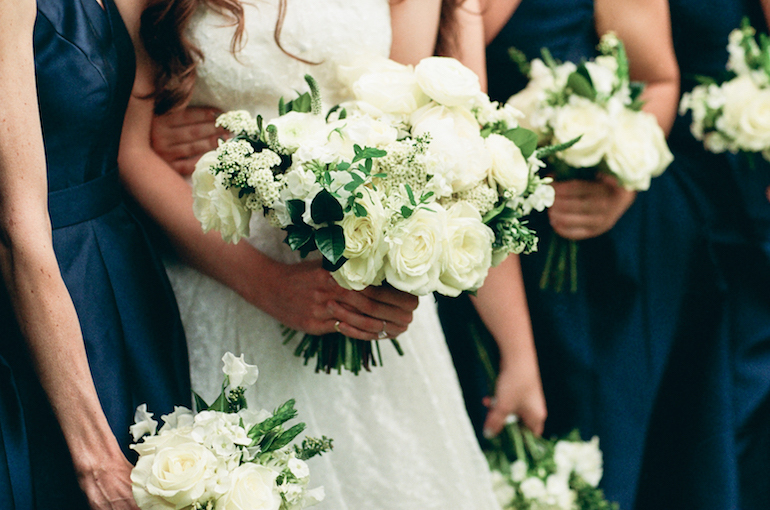 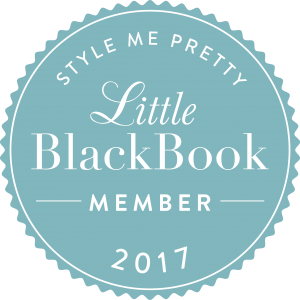 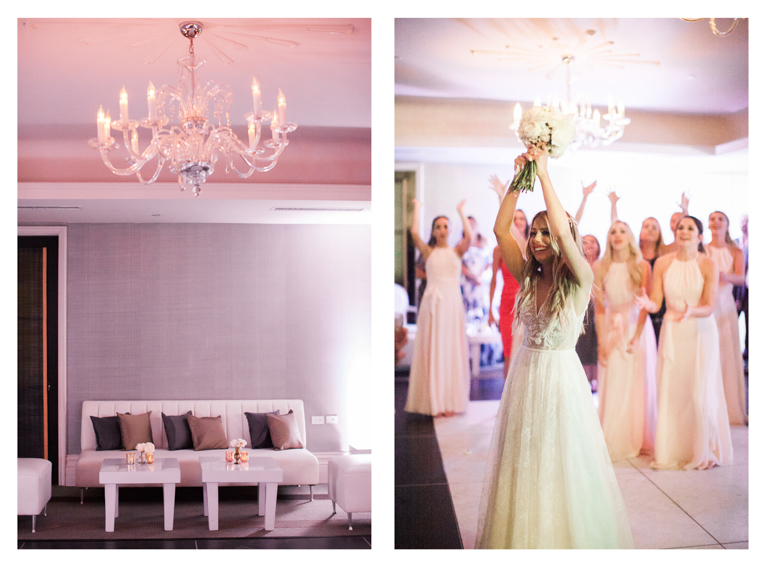 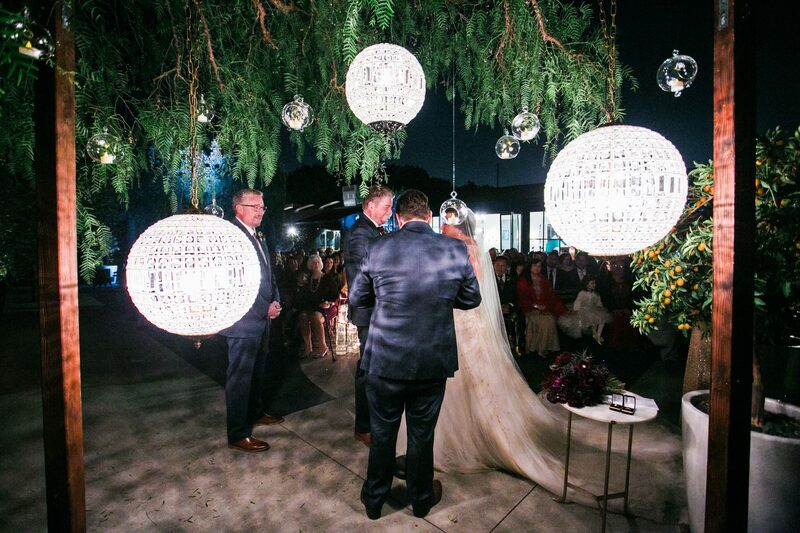 We hope you’ve enjoyed taking a peek at Emily and Brett’s stunning celebration. 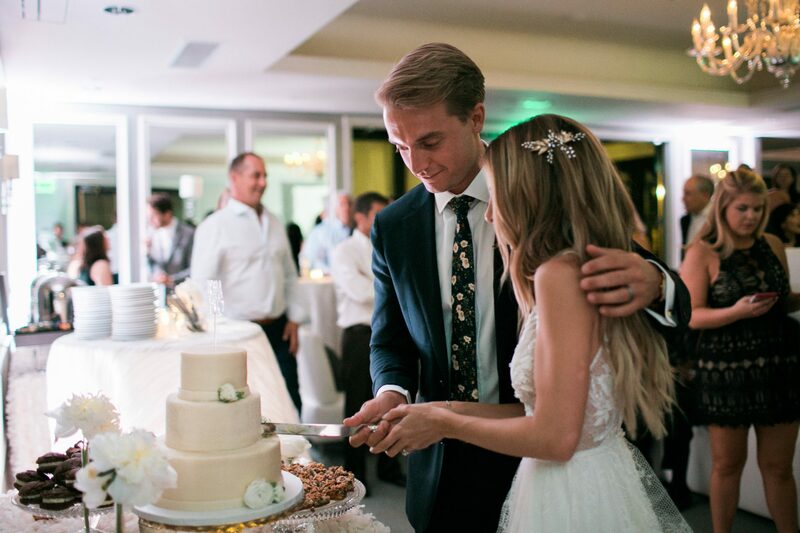 We feel so grateful we were able to be a part of their special day, and wish all the best for them in this new chapter together!